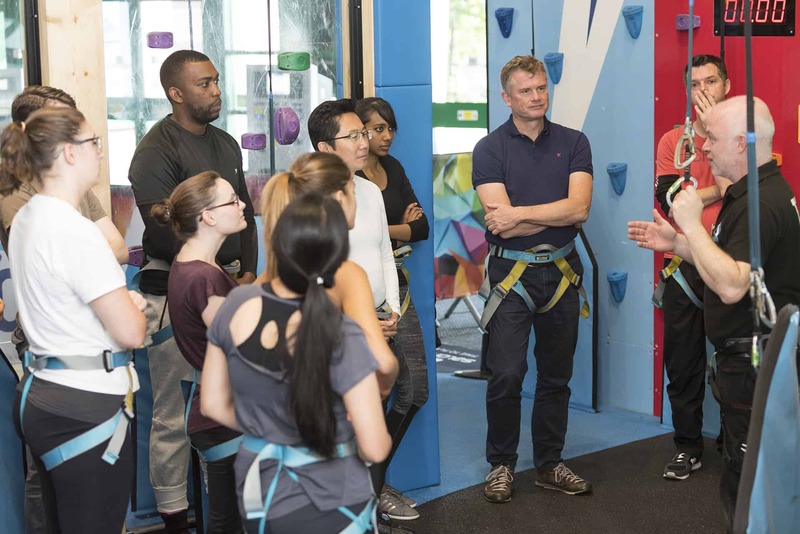 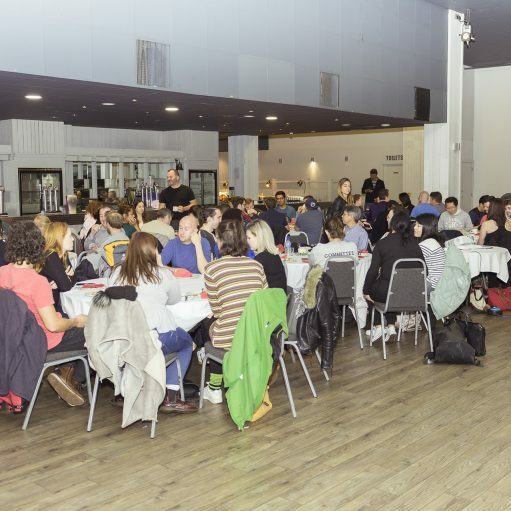 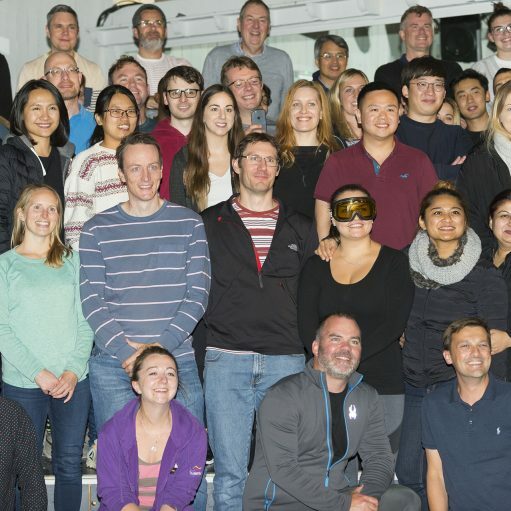 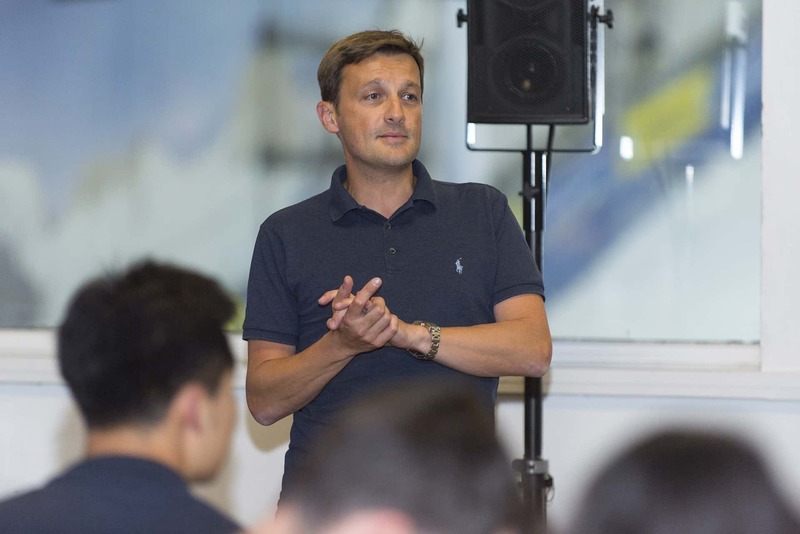 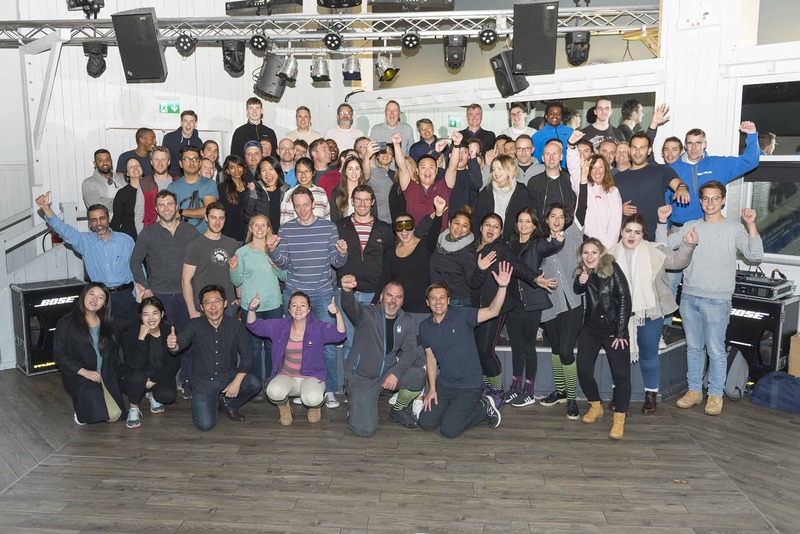 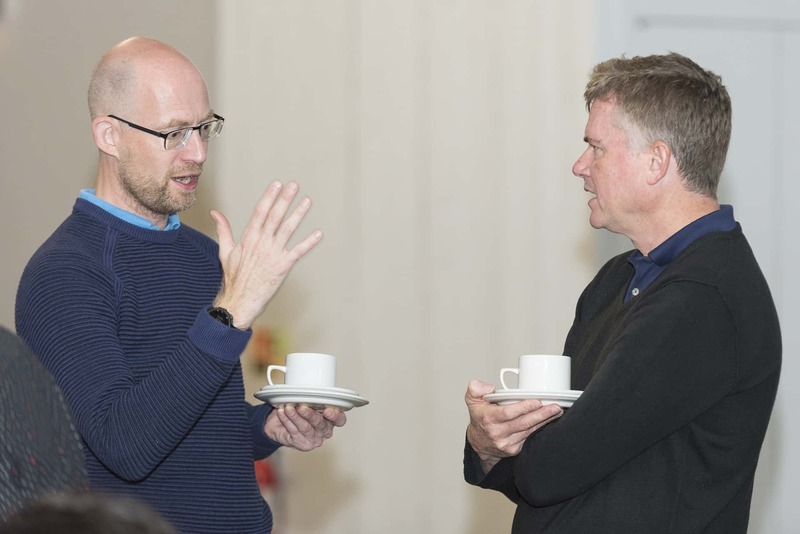 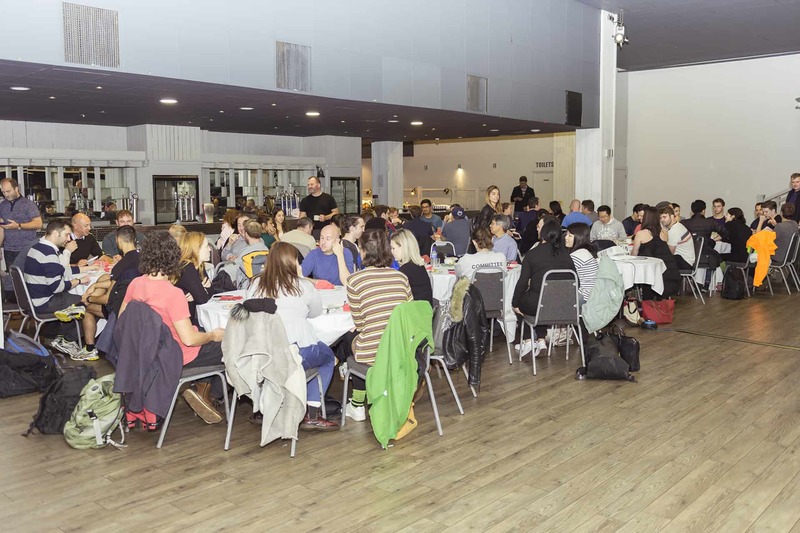 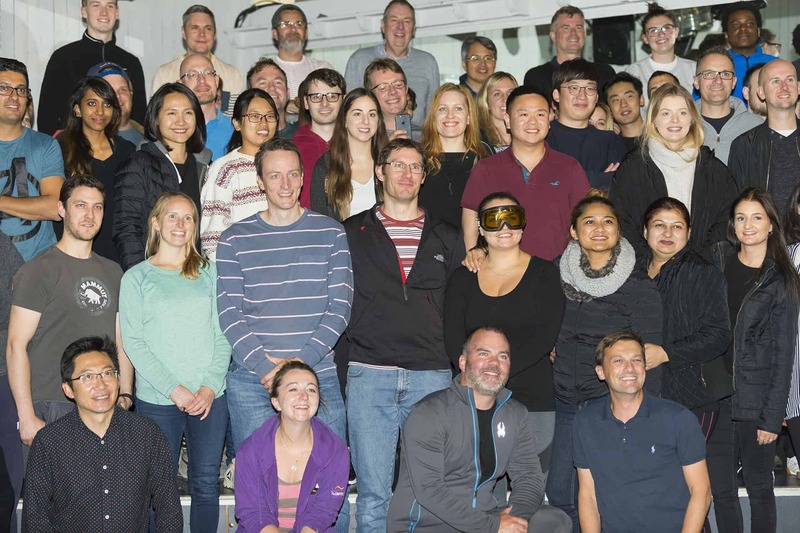 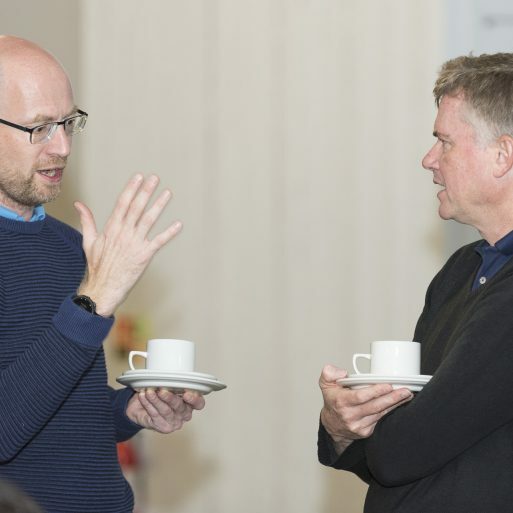 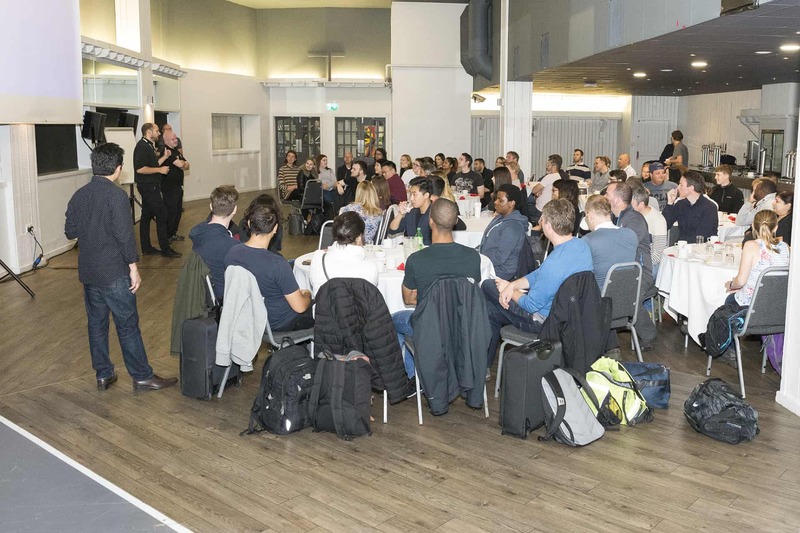 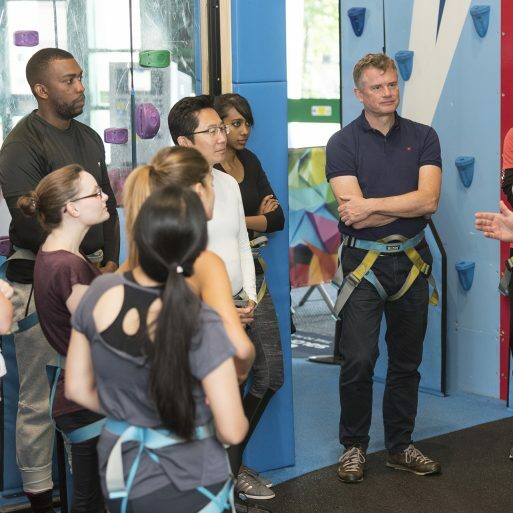 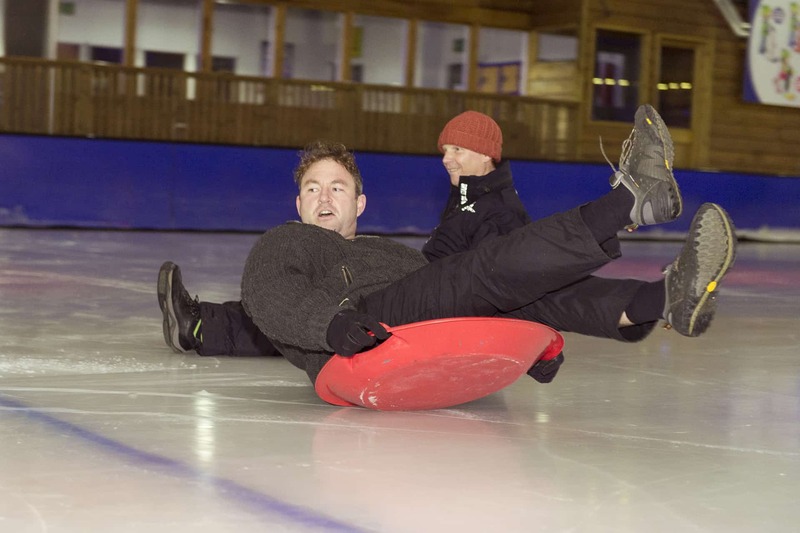 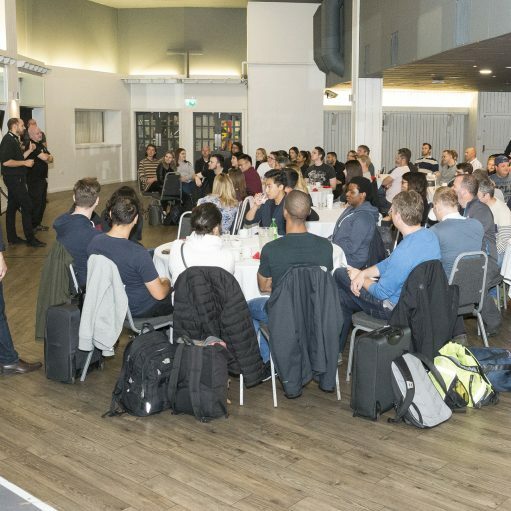 Every year Leonard Design arranges a Company Away Day for the whole UK team to get together. 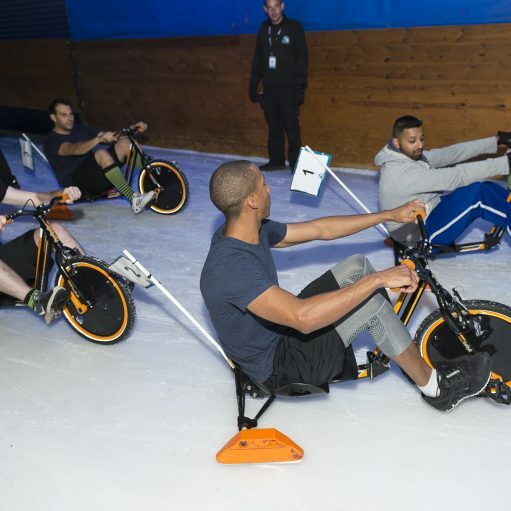 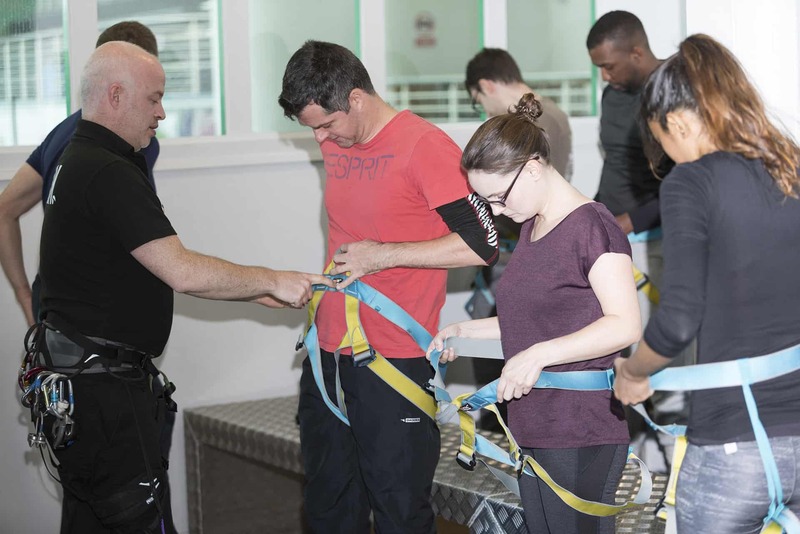 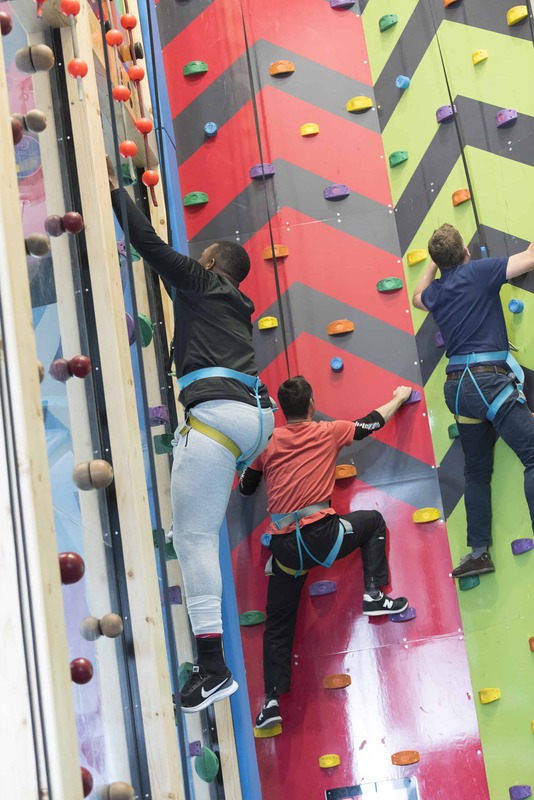 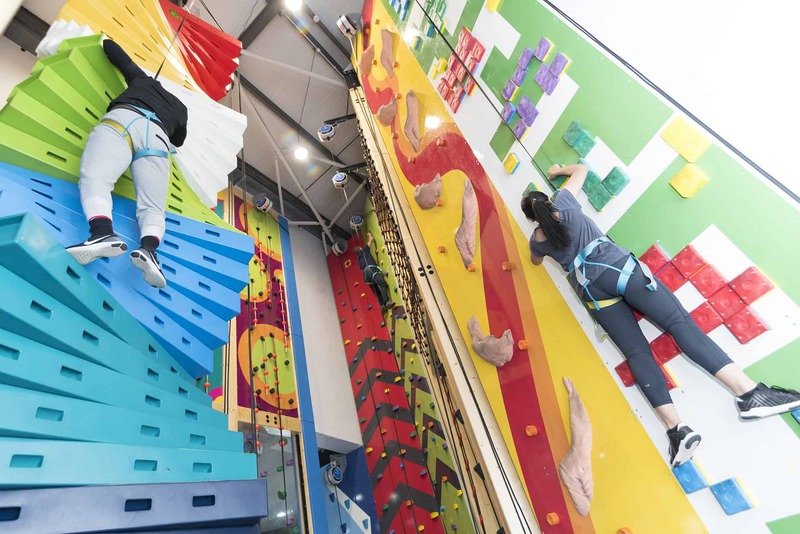 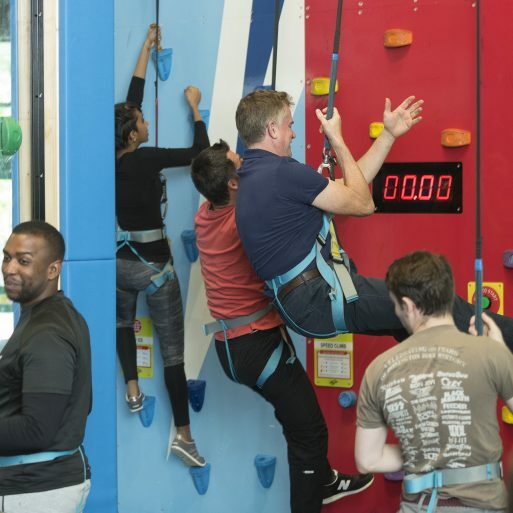 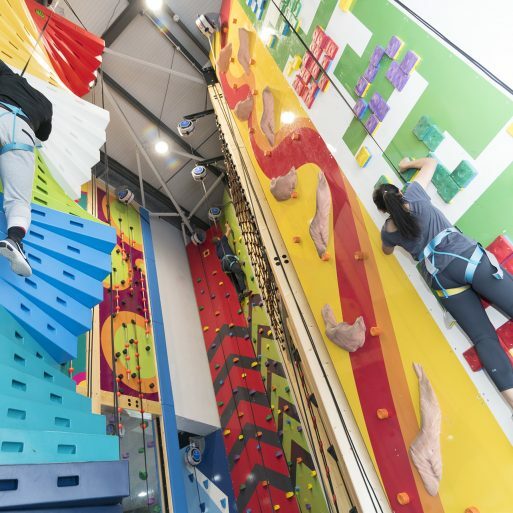 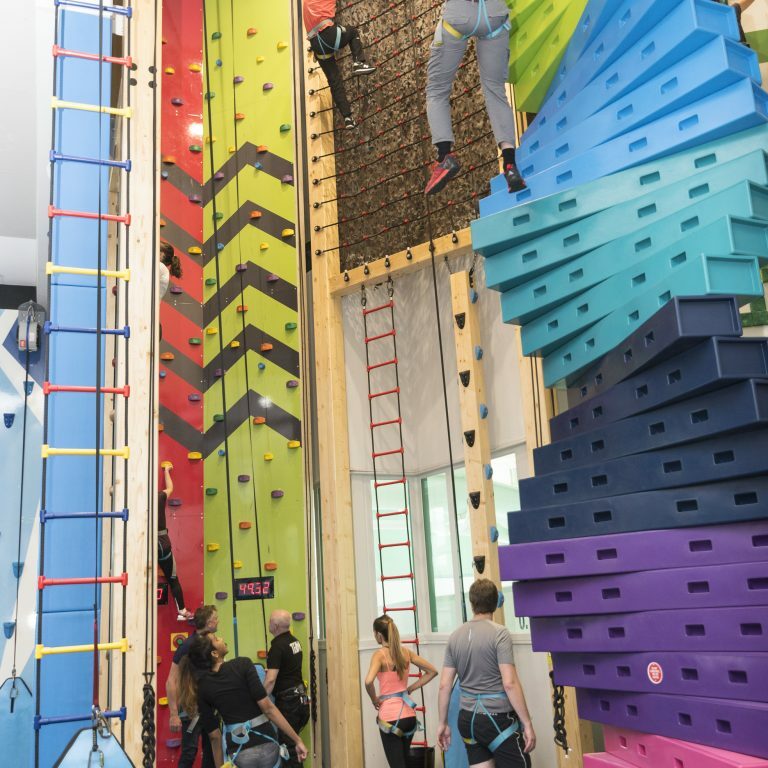 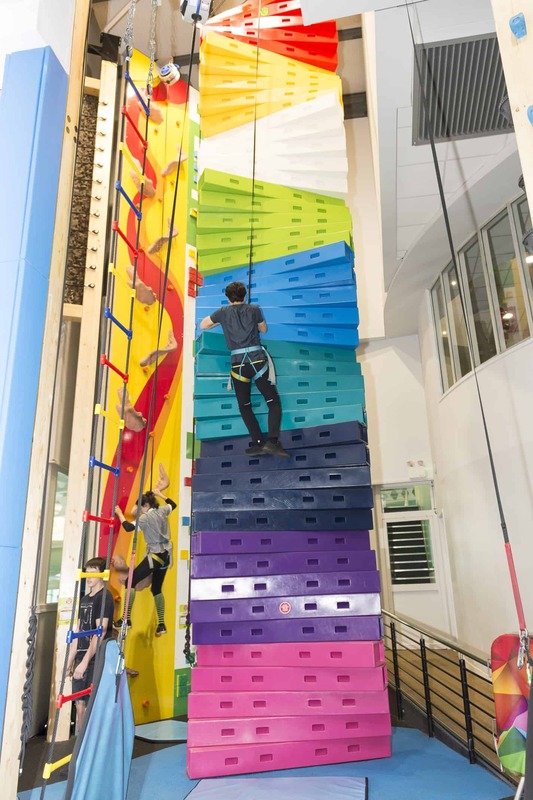 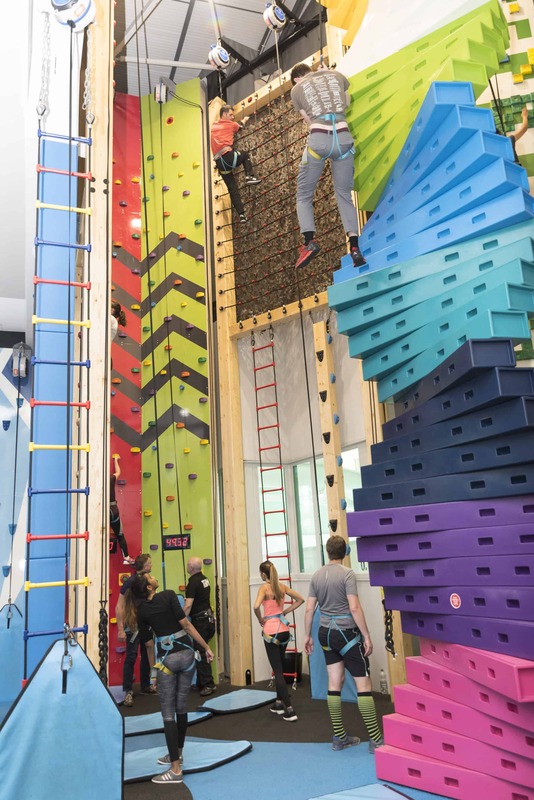 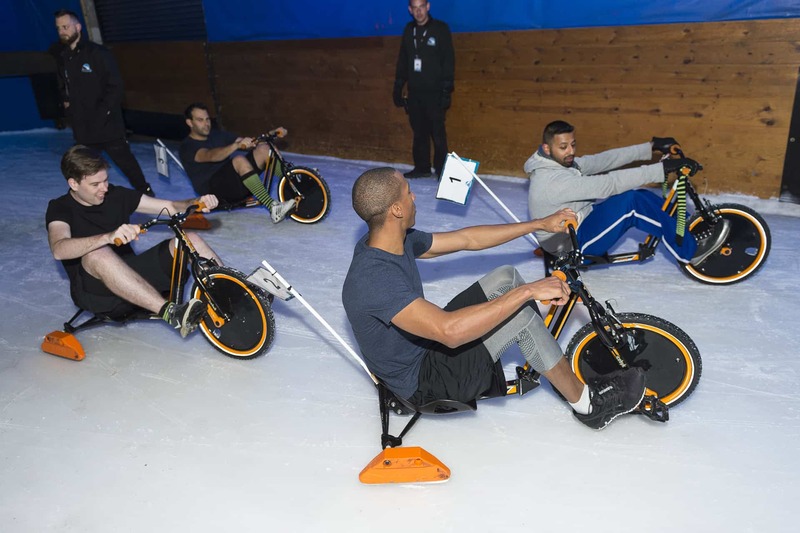 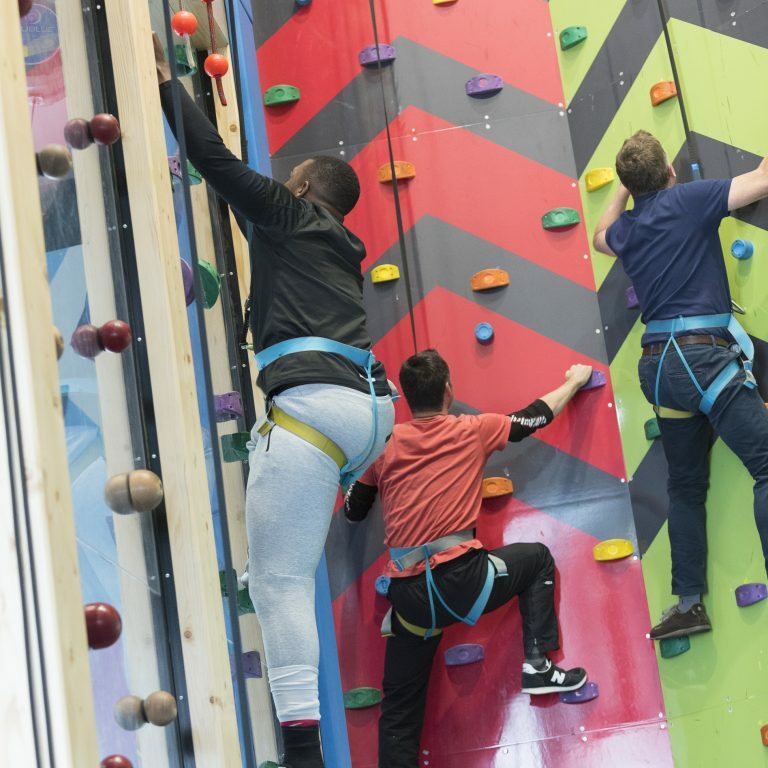 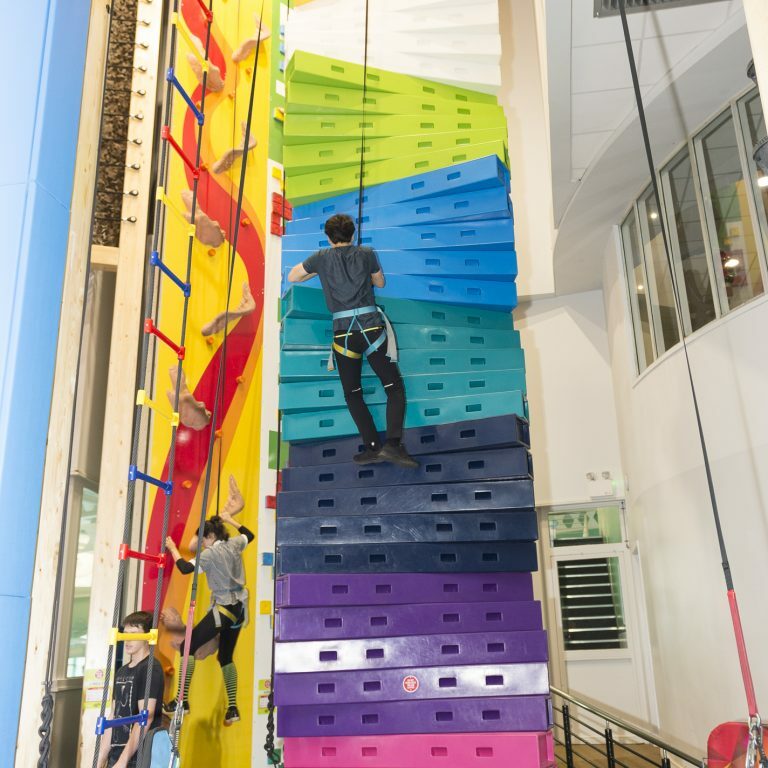 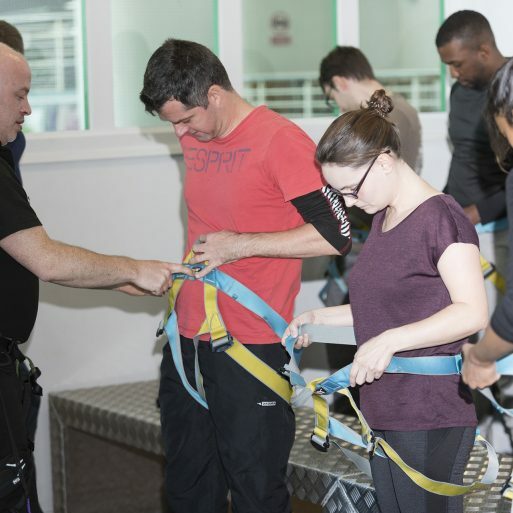 Previous years activities have included cycling, white-water rafting & obstacle courses. 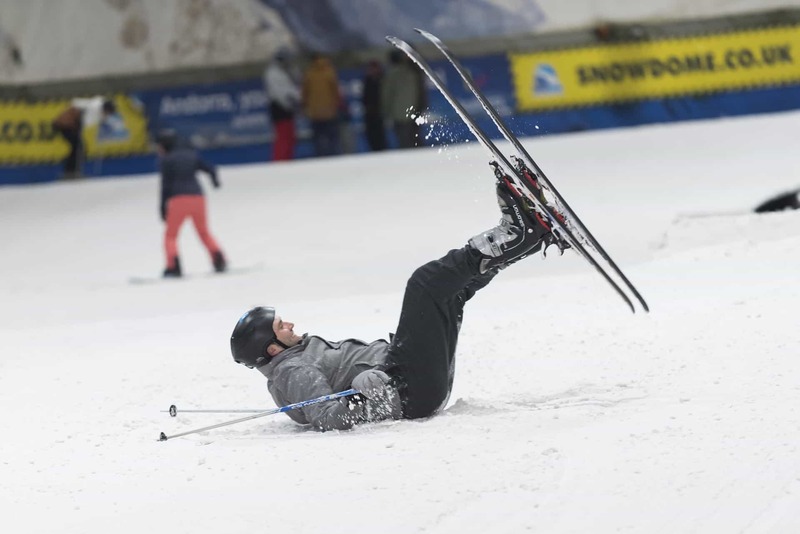 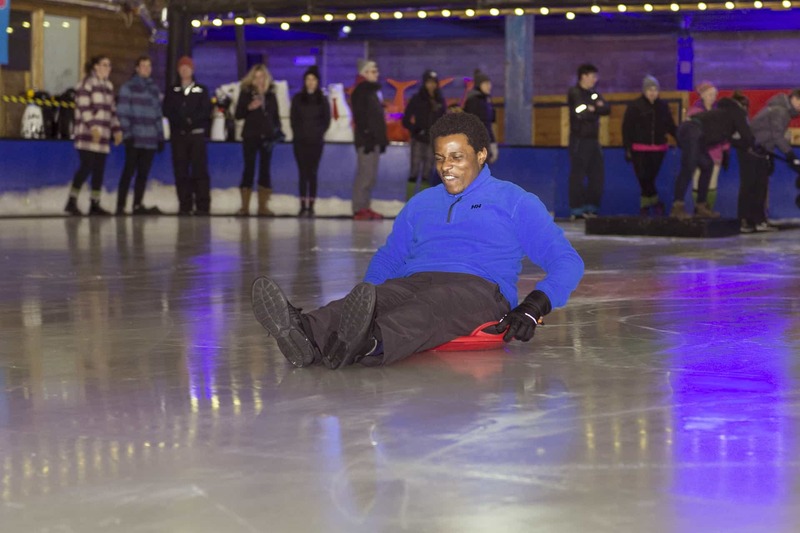 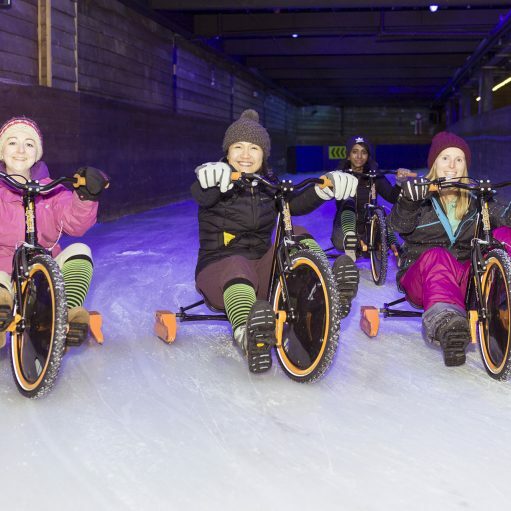 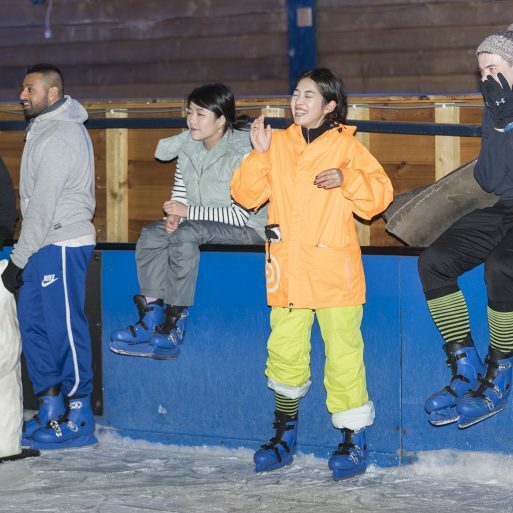 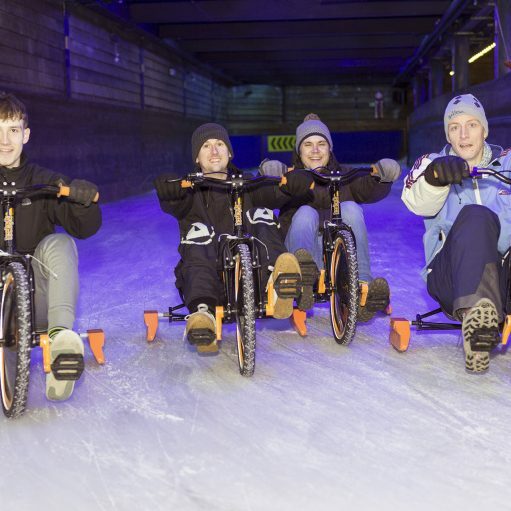 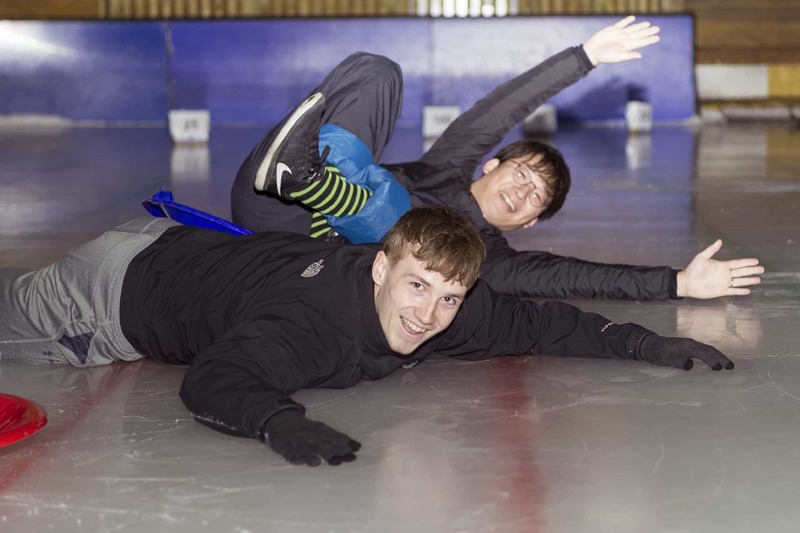 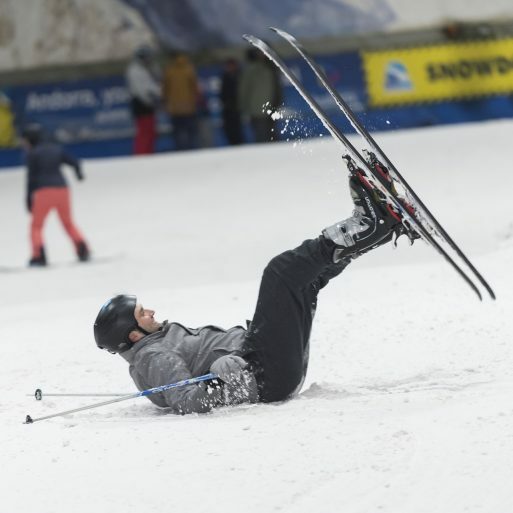 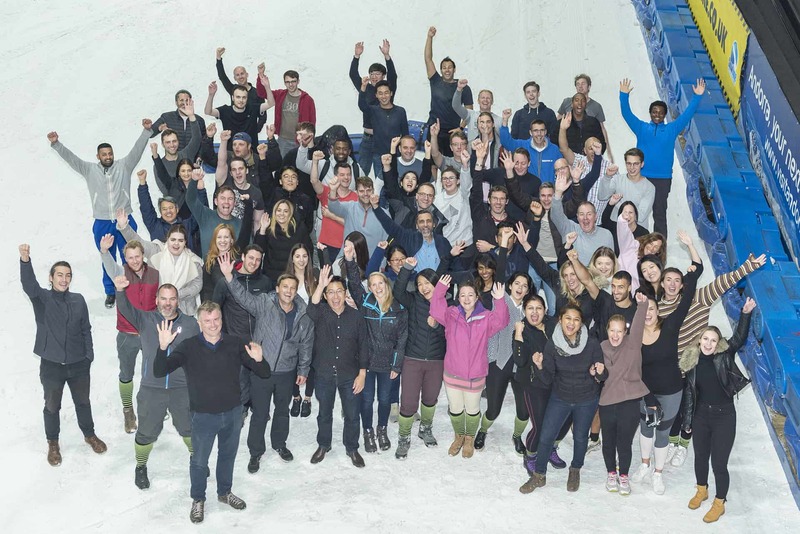 This year the team descended upon the Tamworth Snowdome for a day of snow & ice! 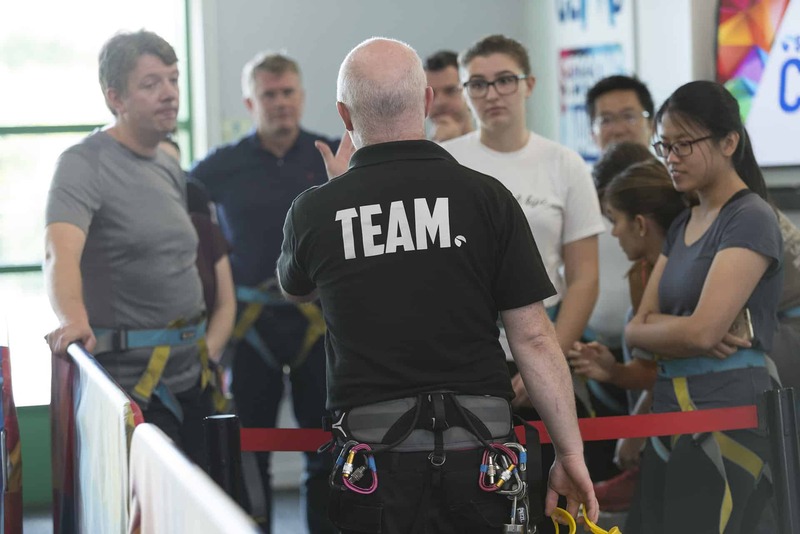 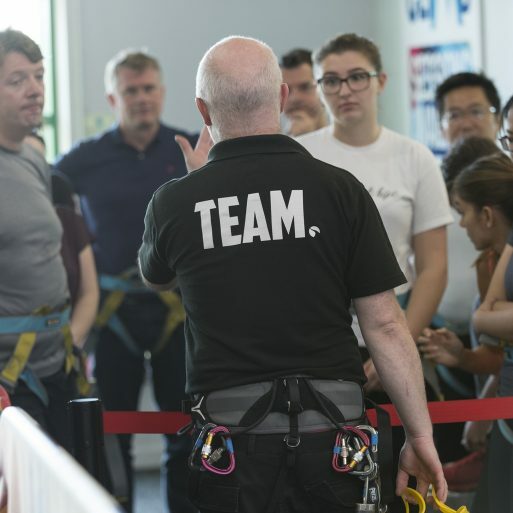 Bringing everyone together is a fantastic opportunity for the team to build on relationships and to create a close-knit team. 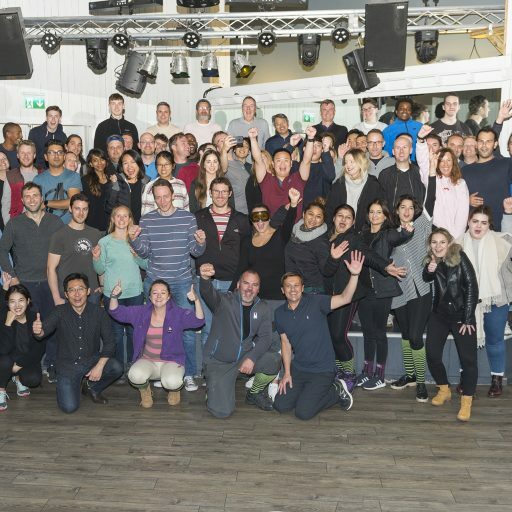 Ultimately the company away day is a big thank you to all the staff at Leonard Design for all the hard work that is done throughout the year. 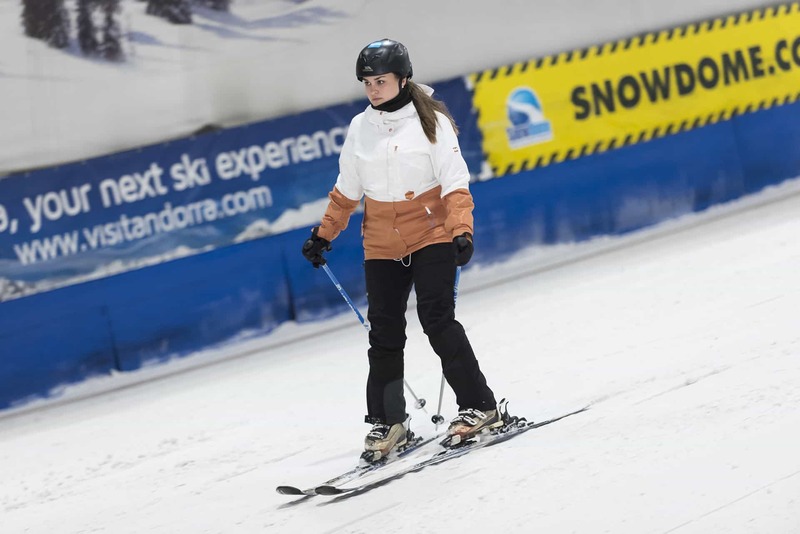 And after a particularly warm summer what better way to celebrate than a snow day! 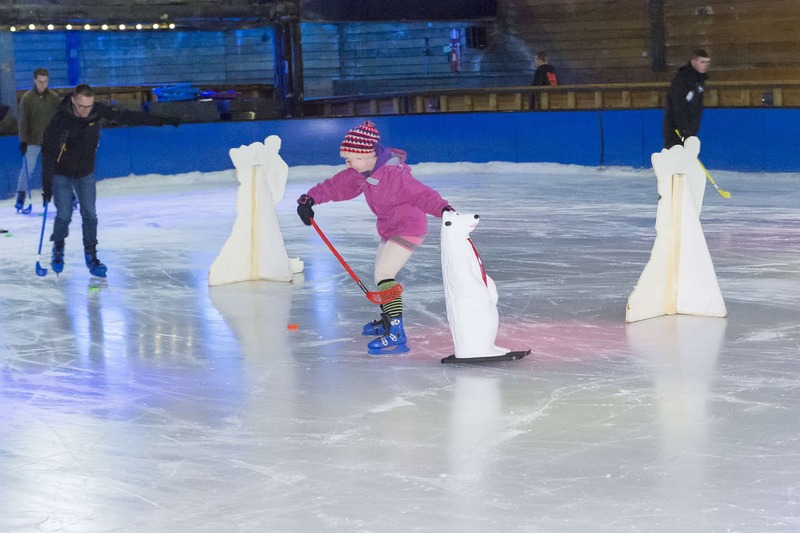 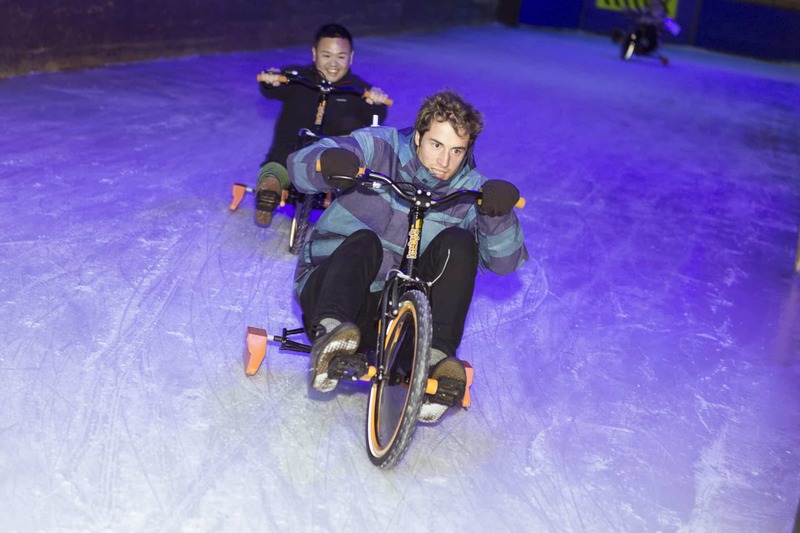 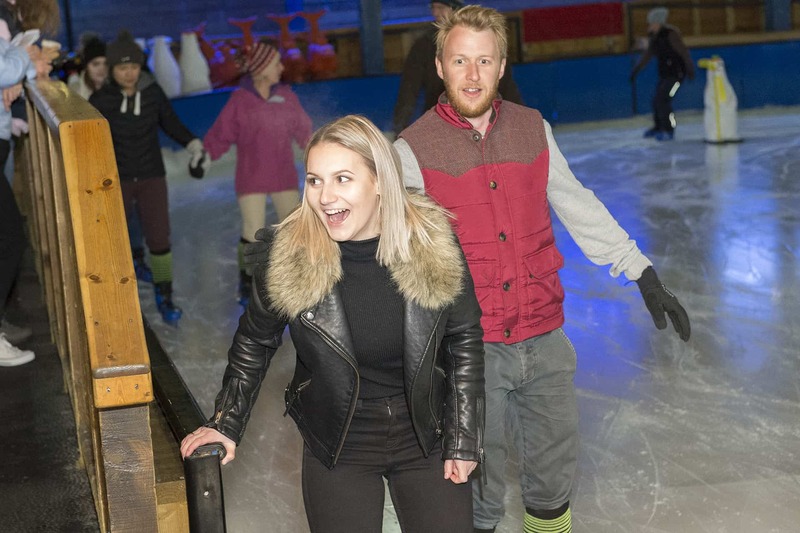 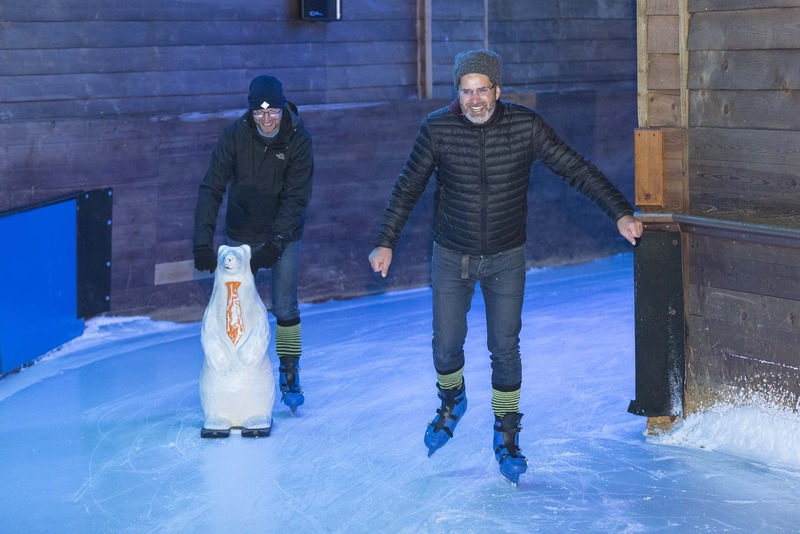 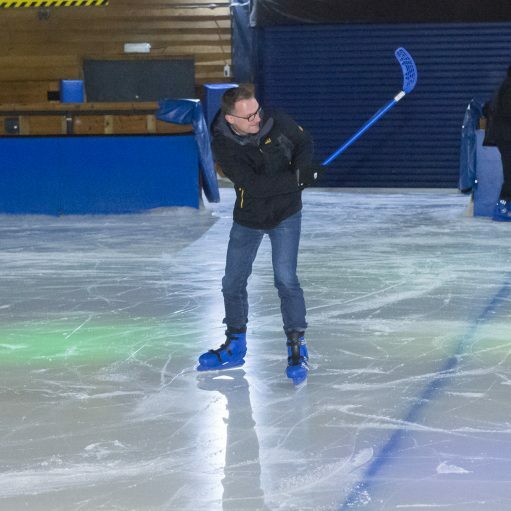 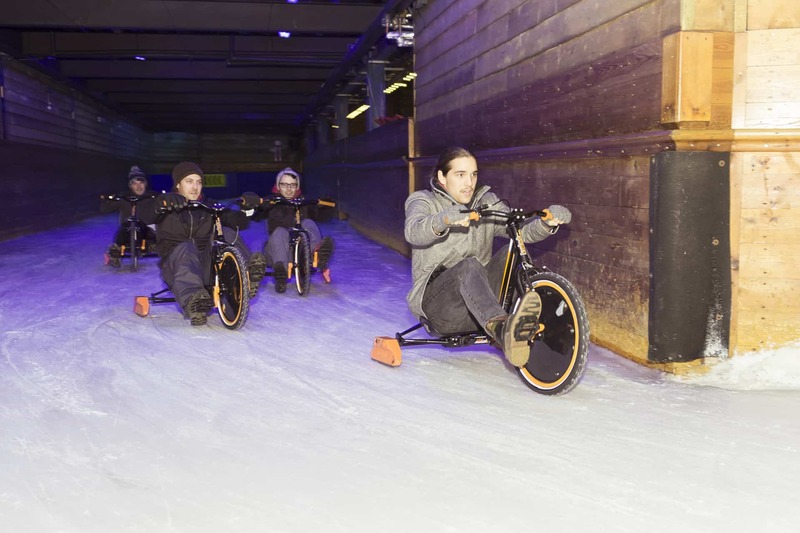 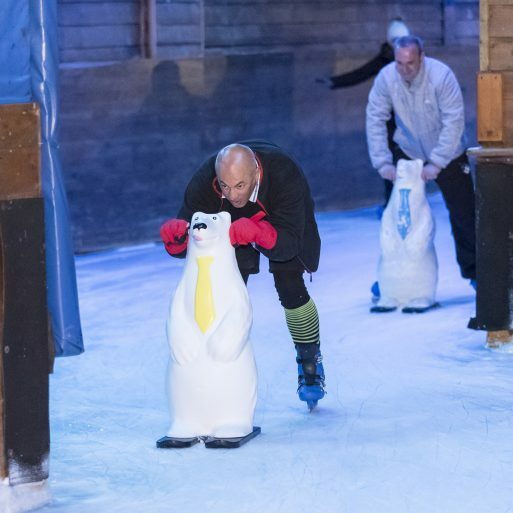 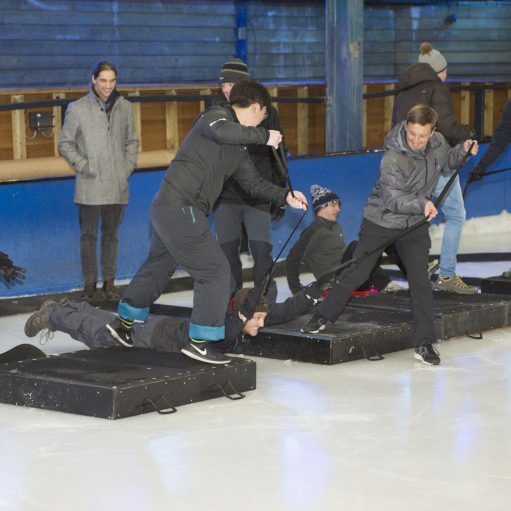 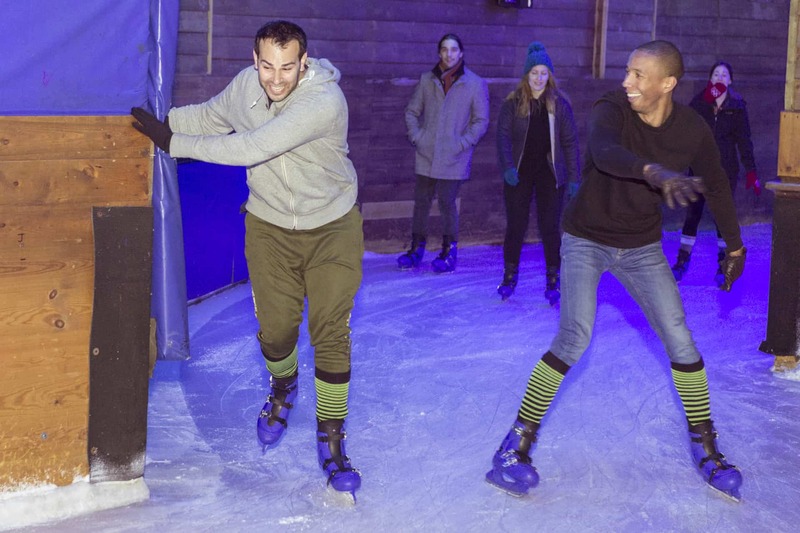 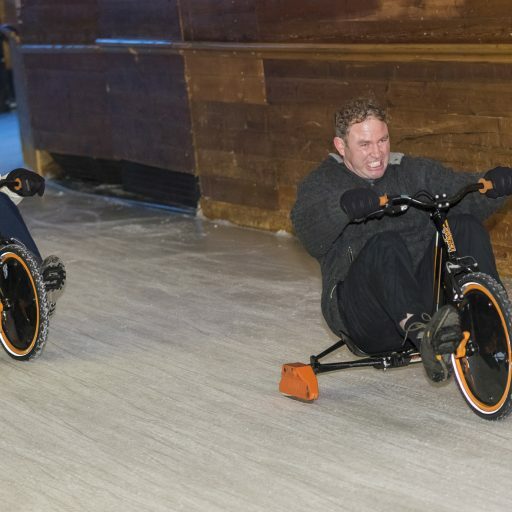 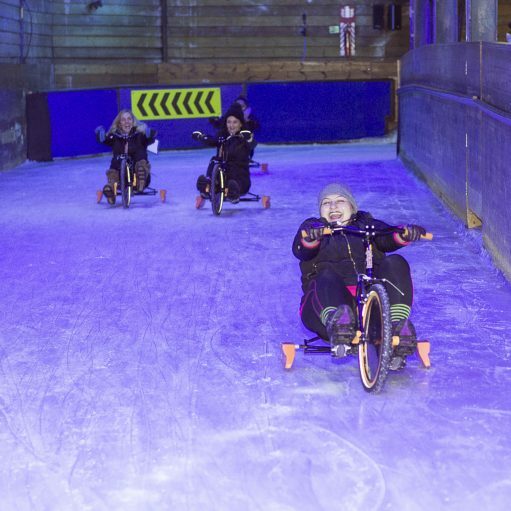 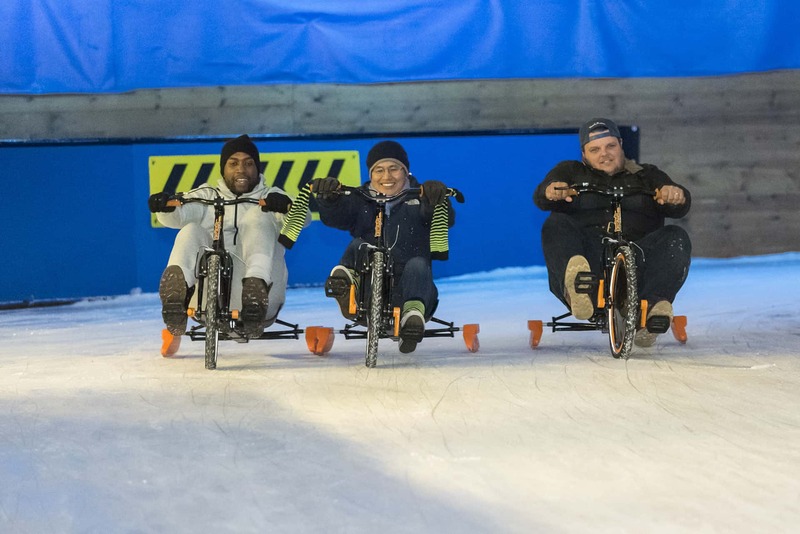 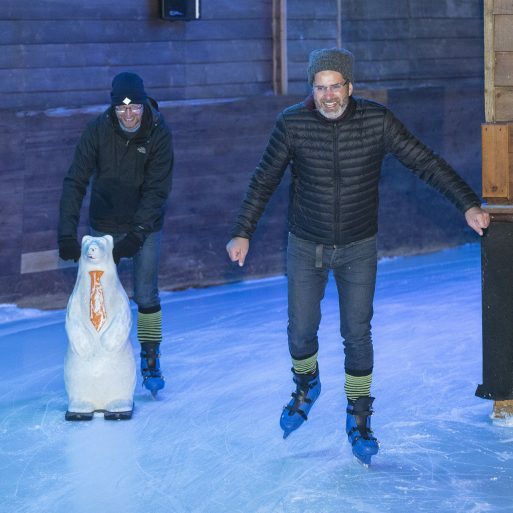 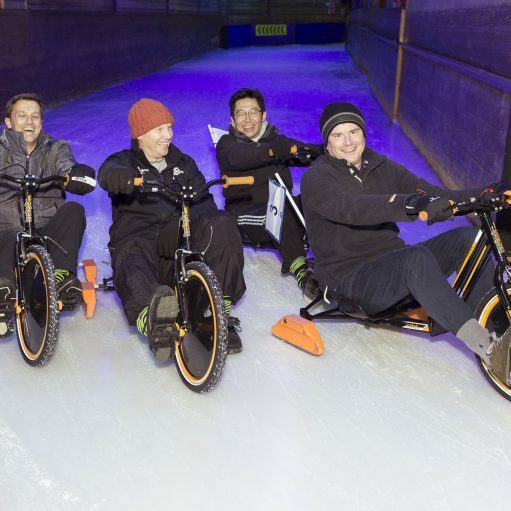 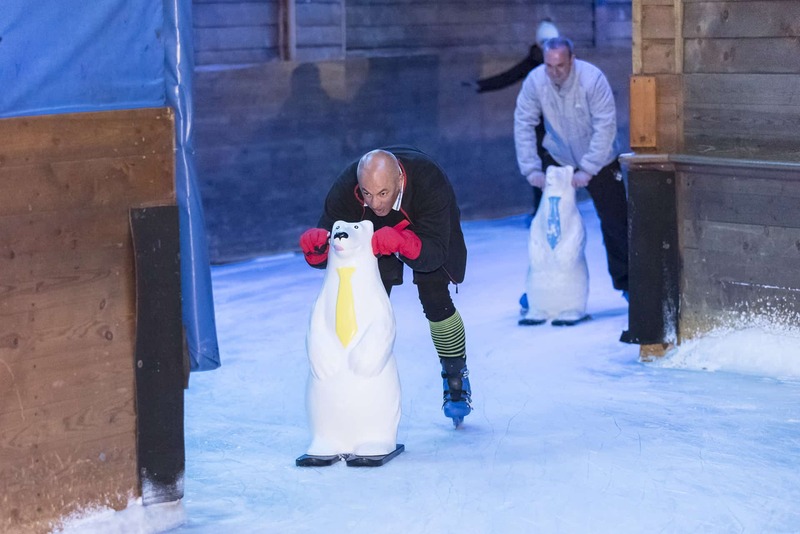 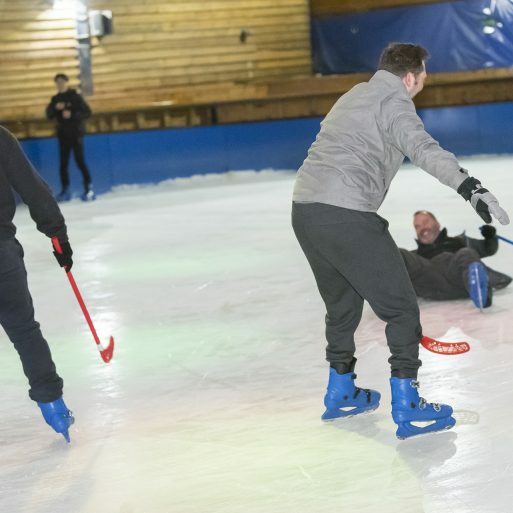 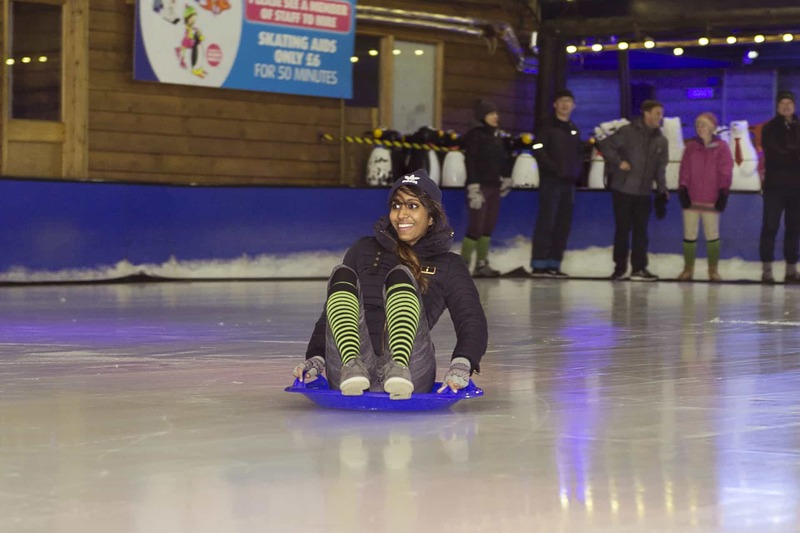 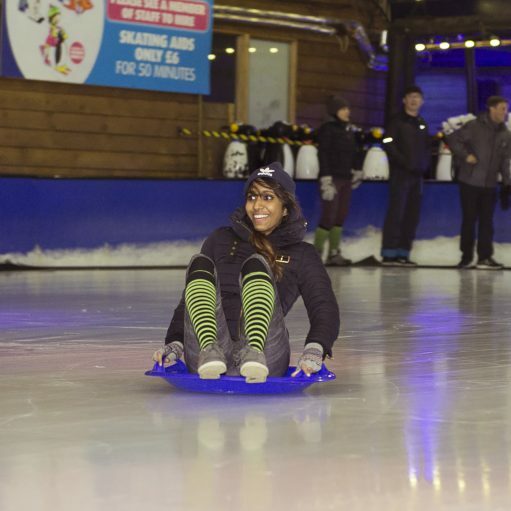 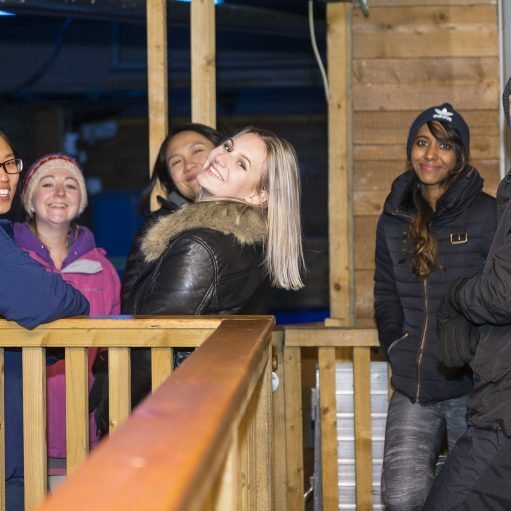 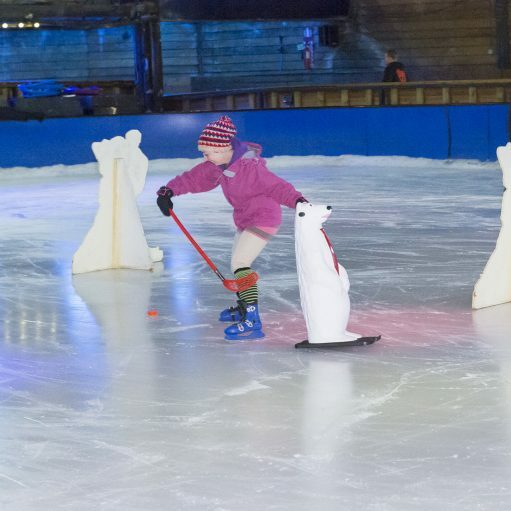 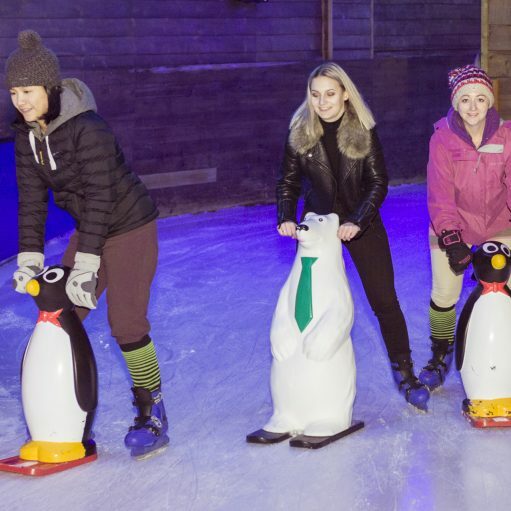 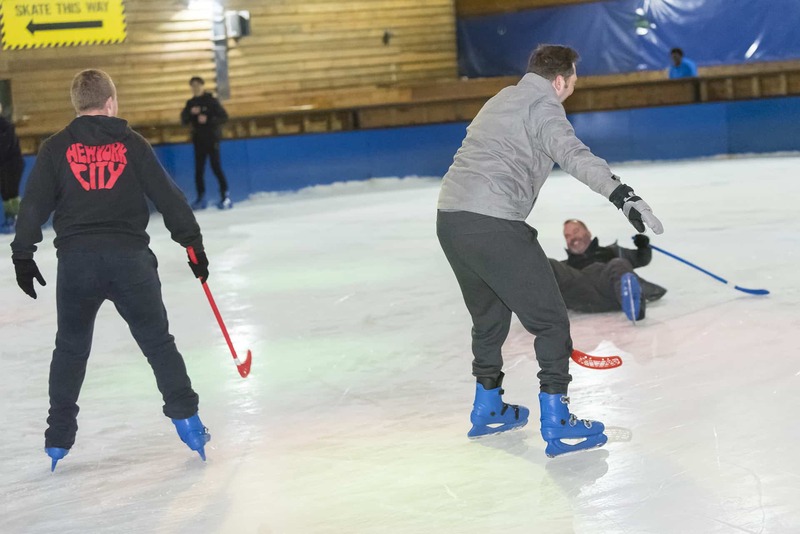 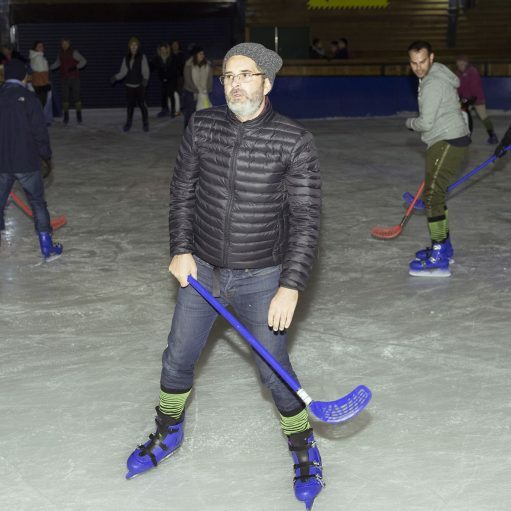 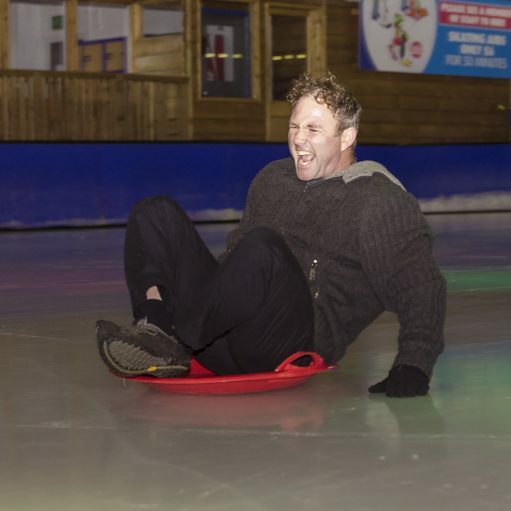 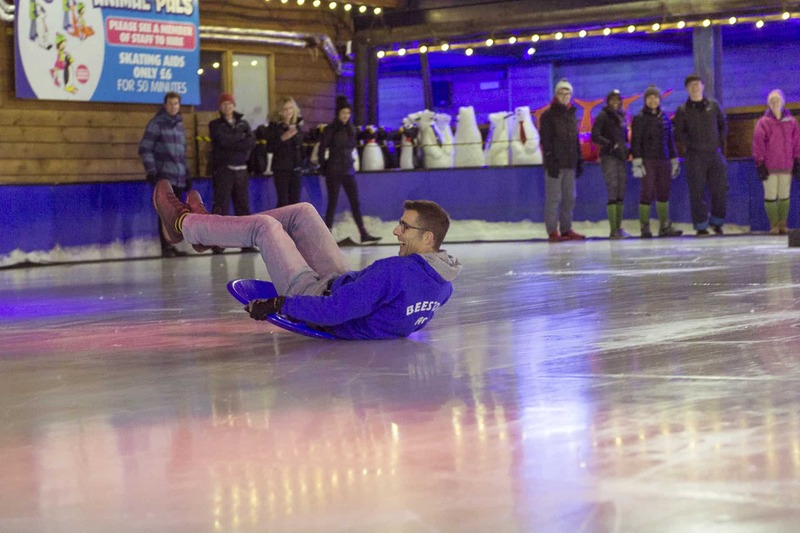 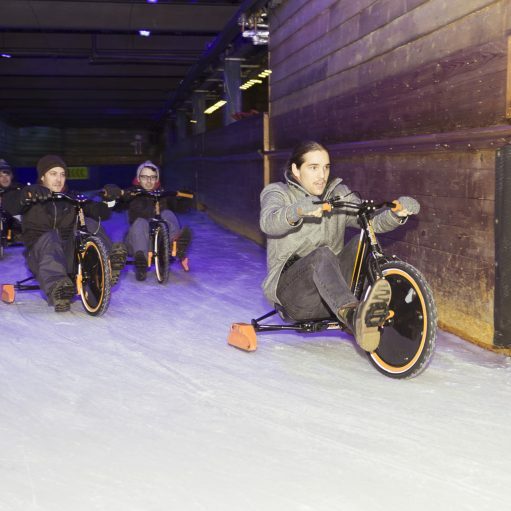 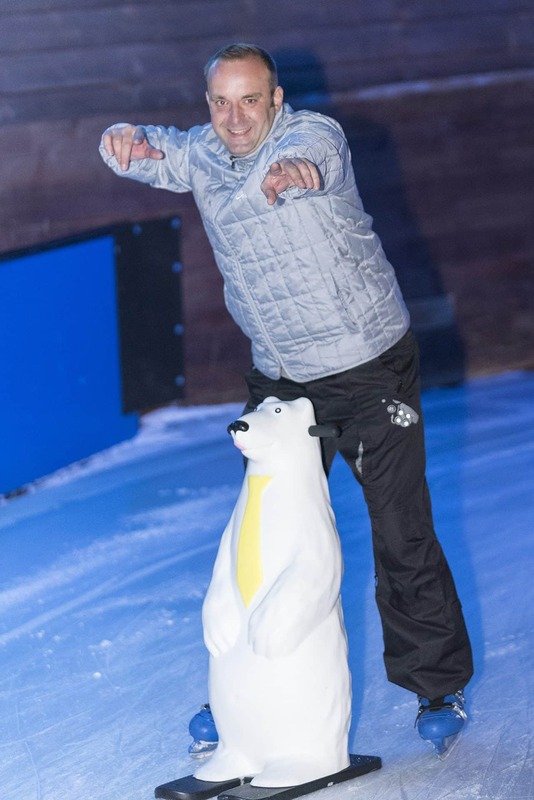 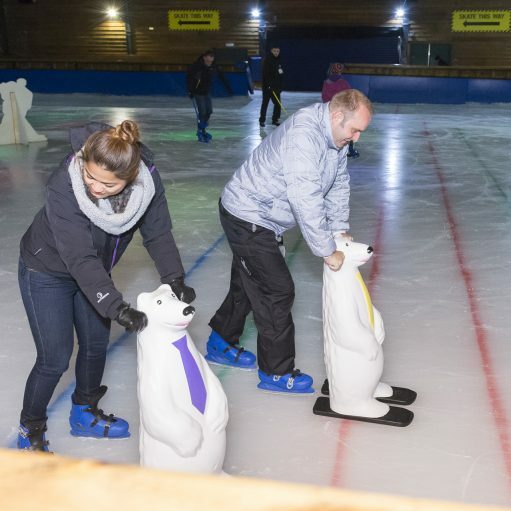 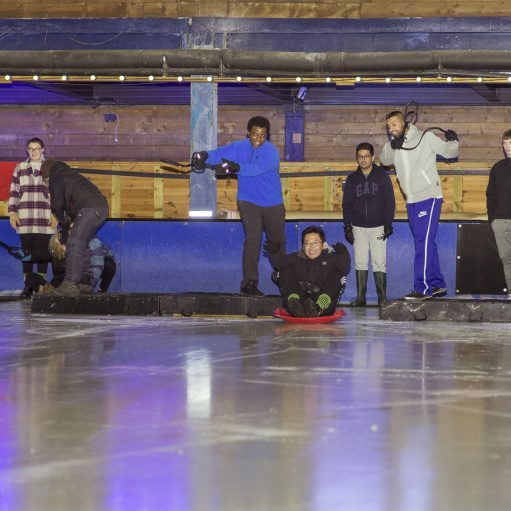 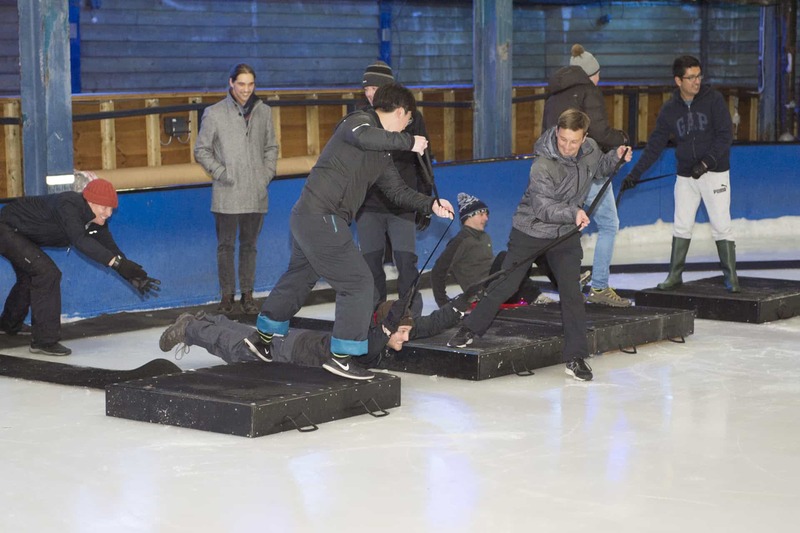 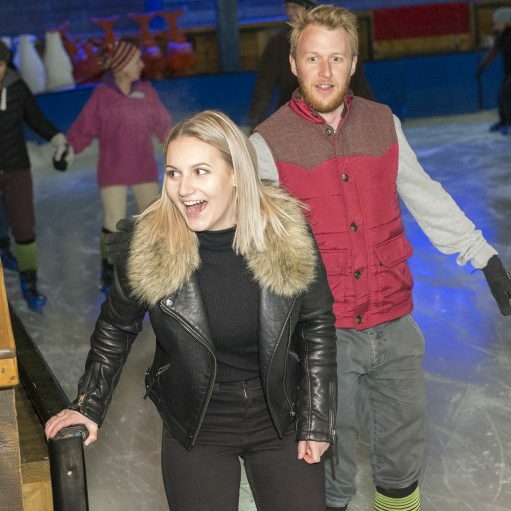 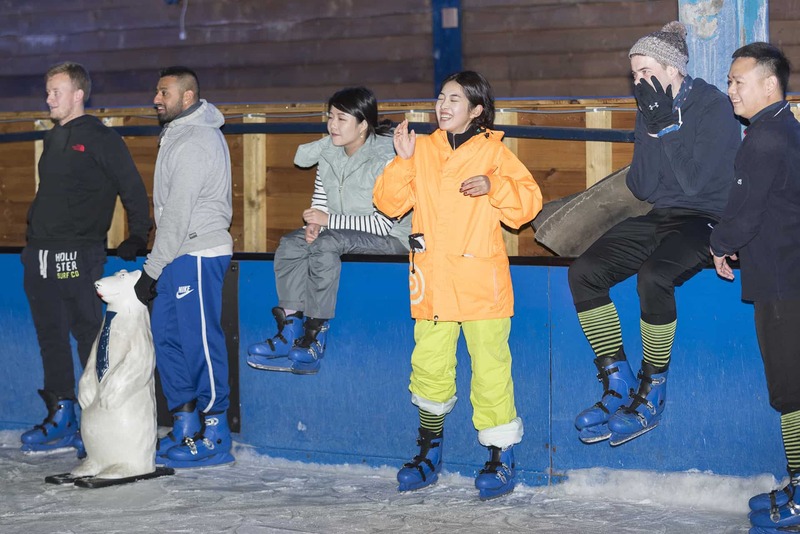 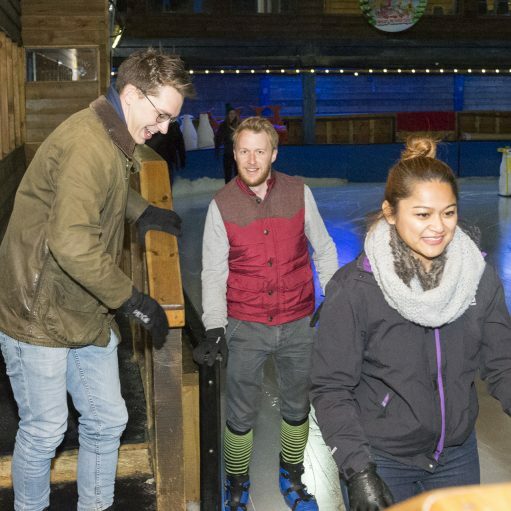 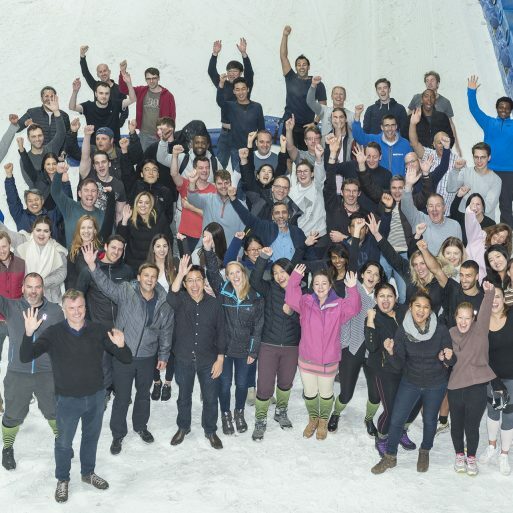 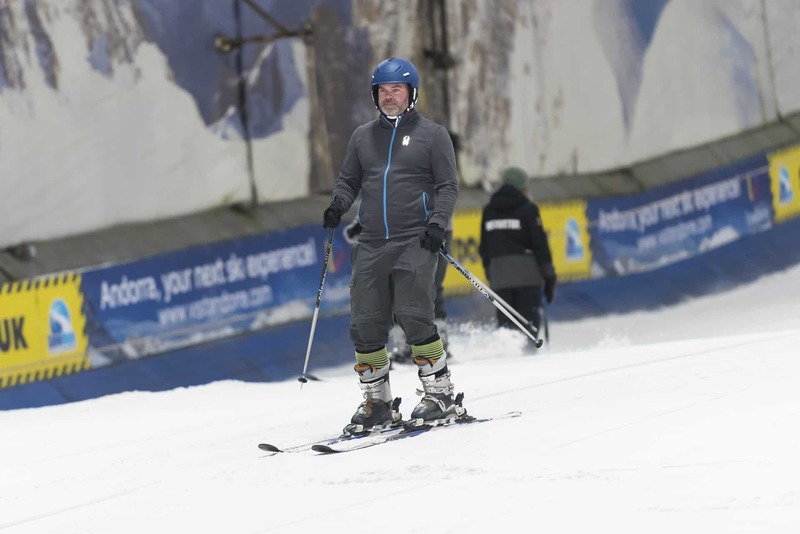 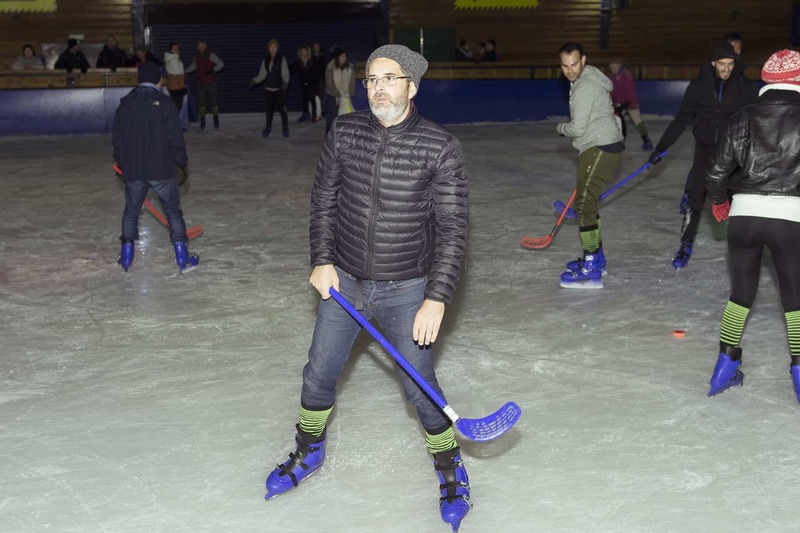 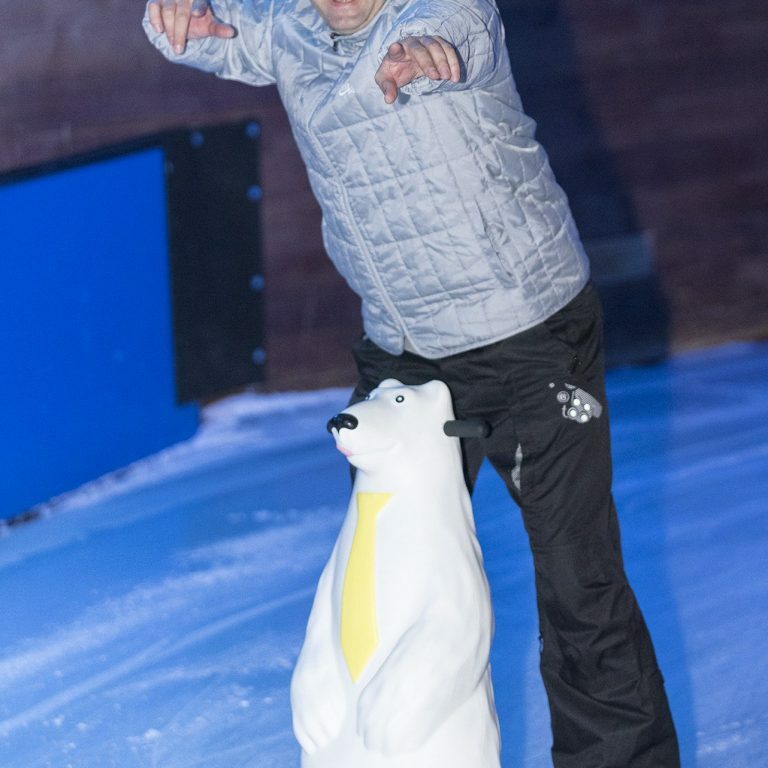 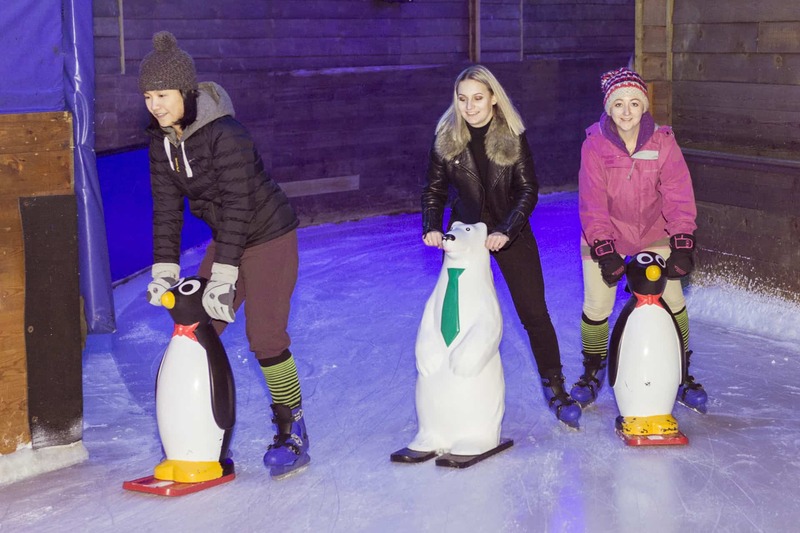 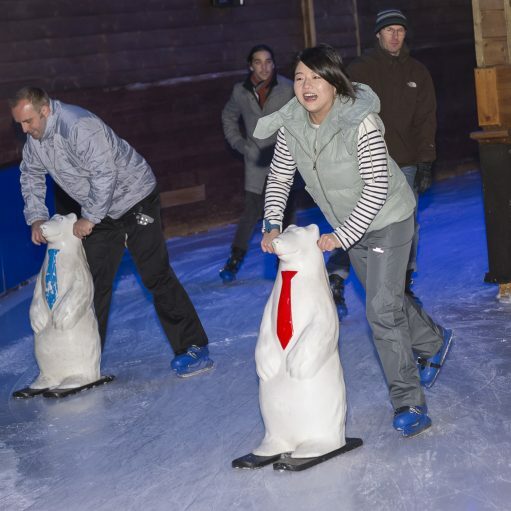 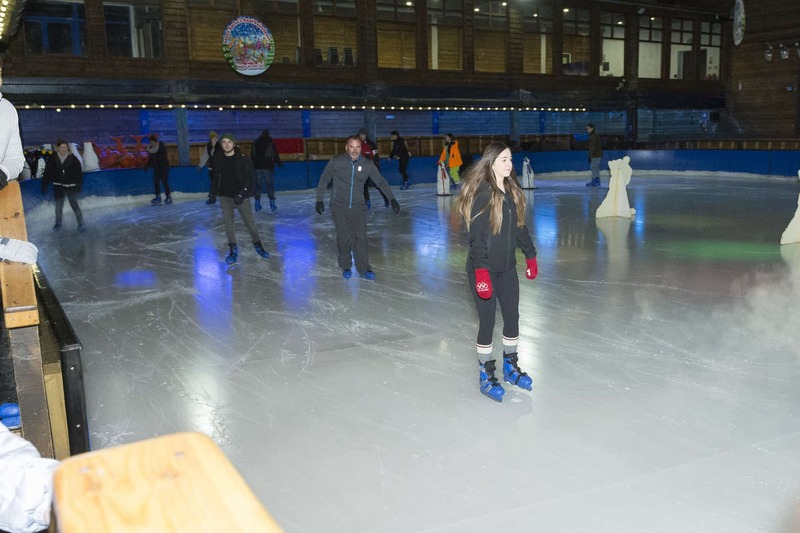 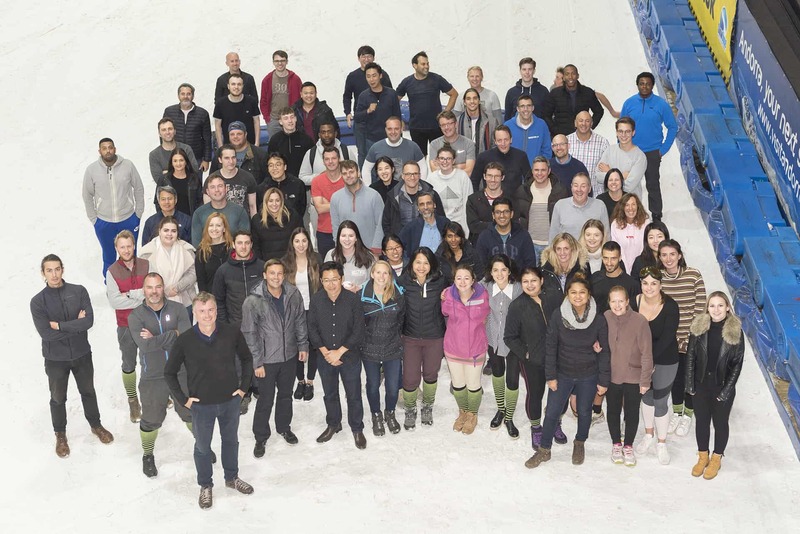 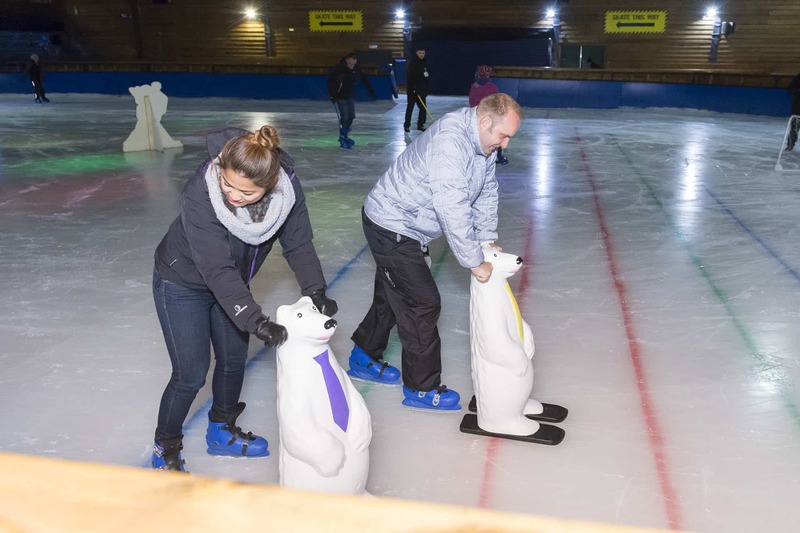 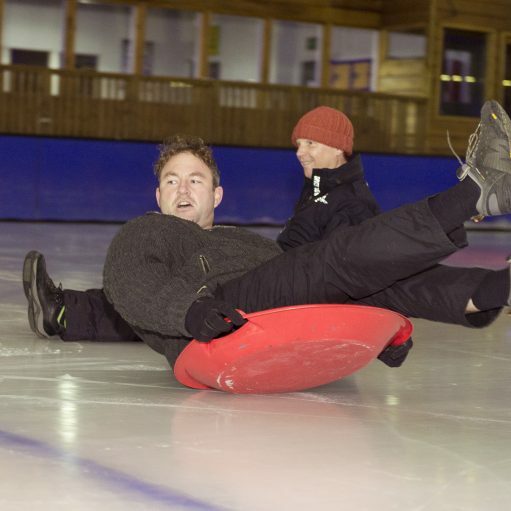 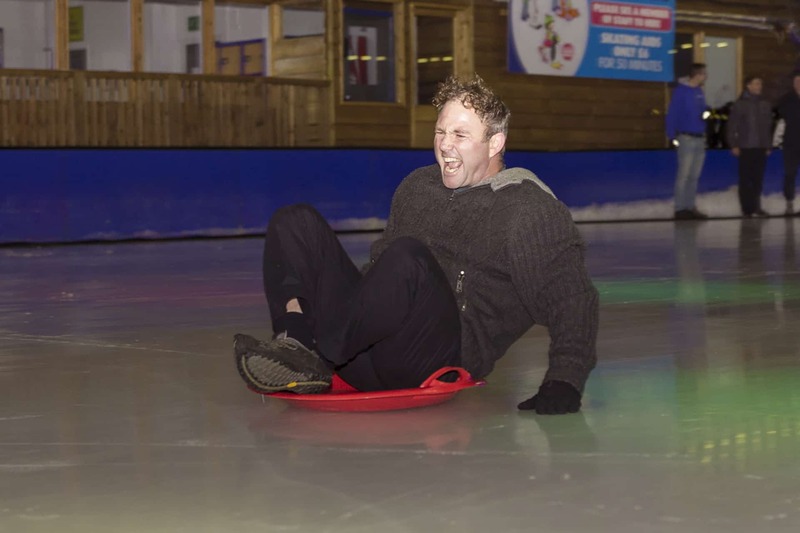 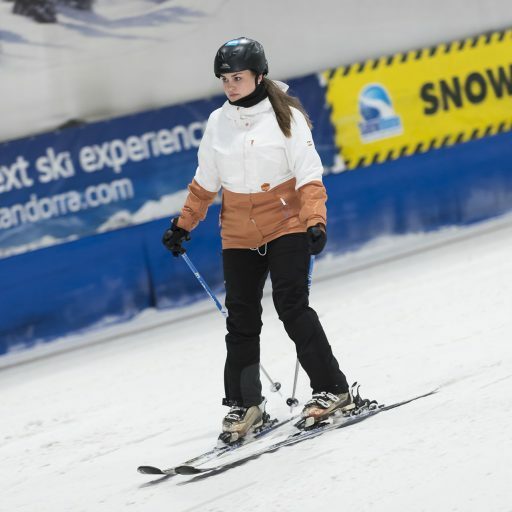 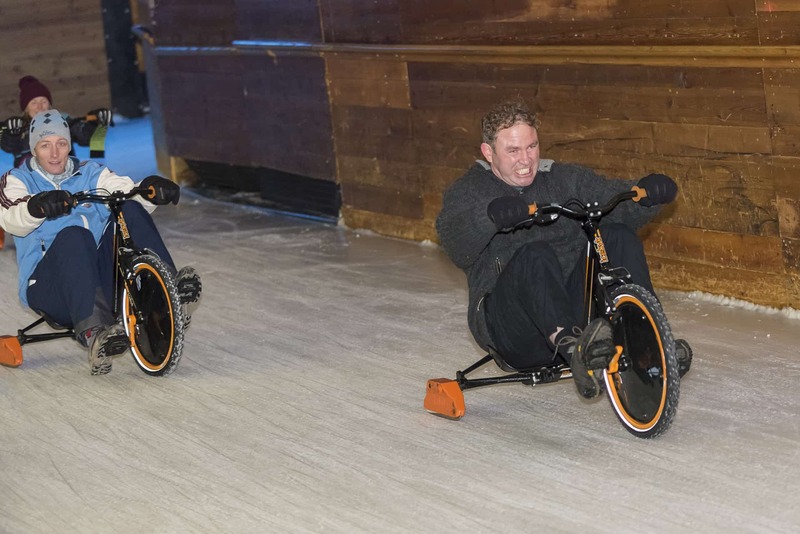 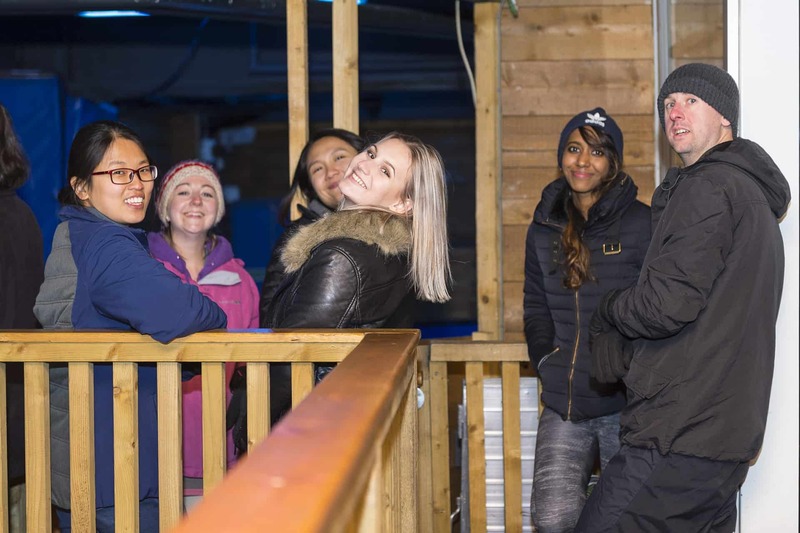 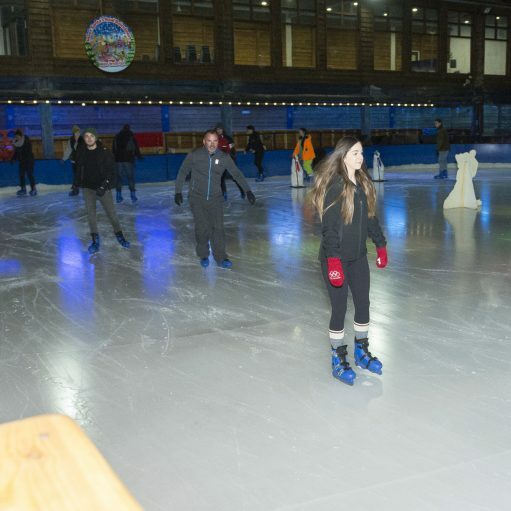 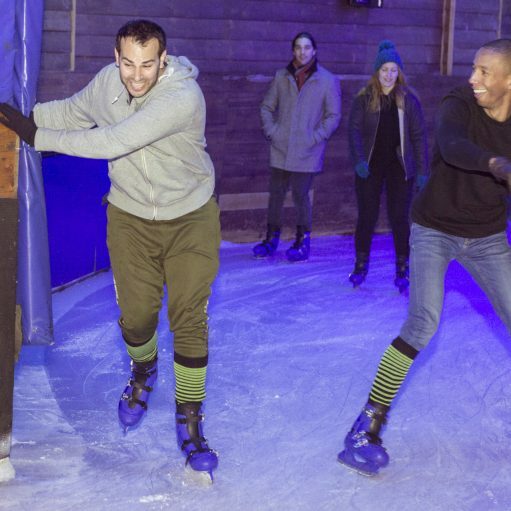 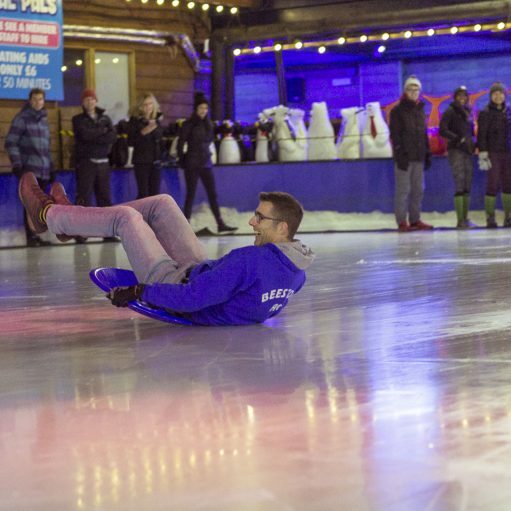 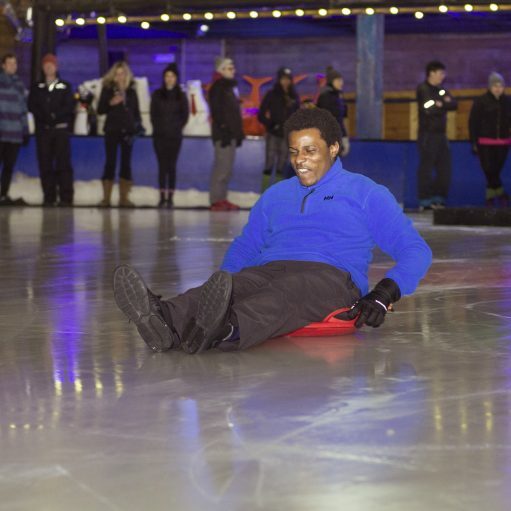 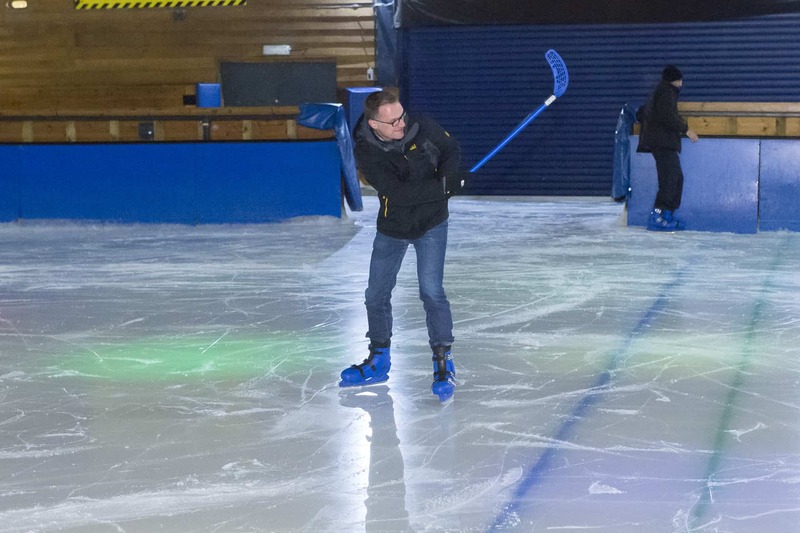 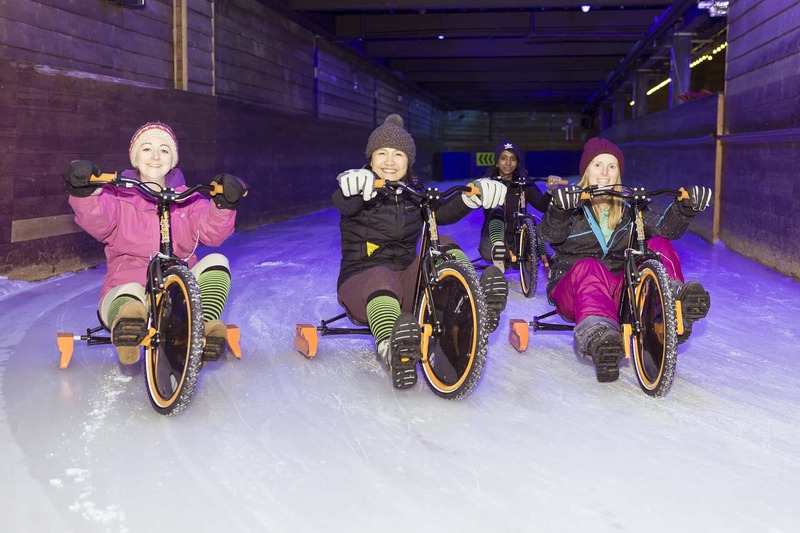 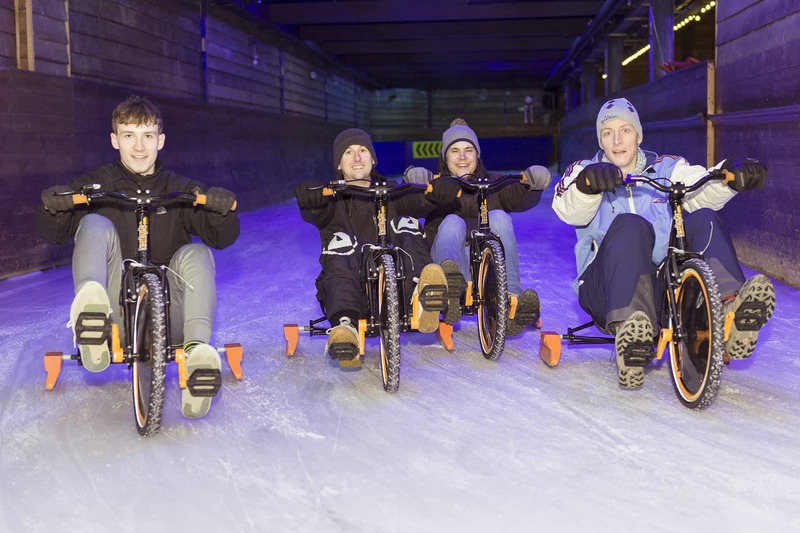 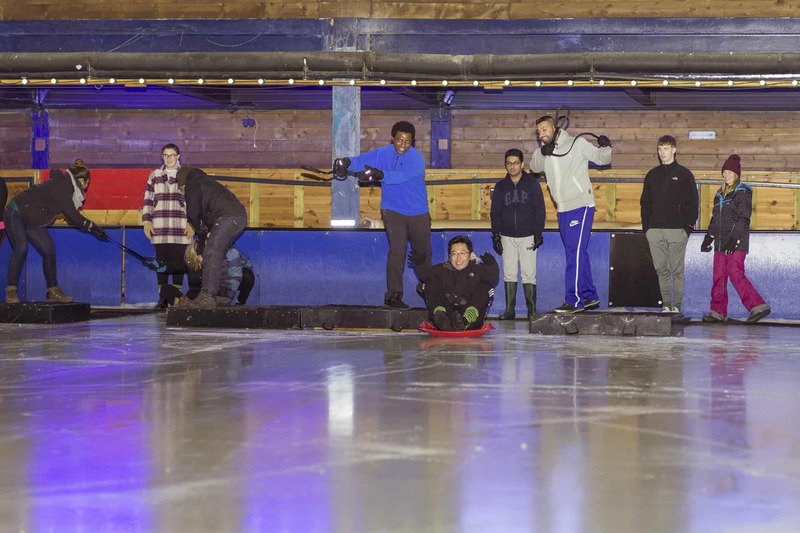 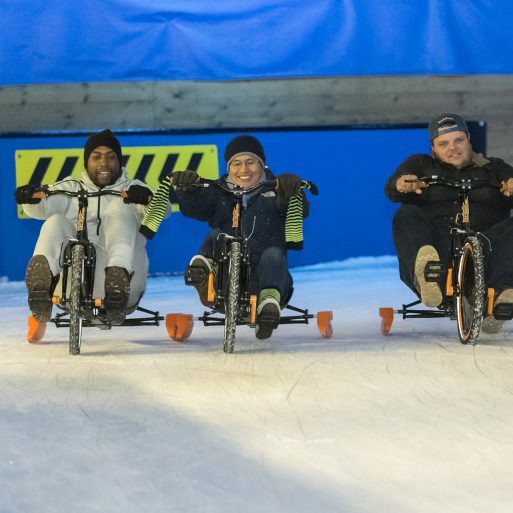 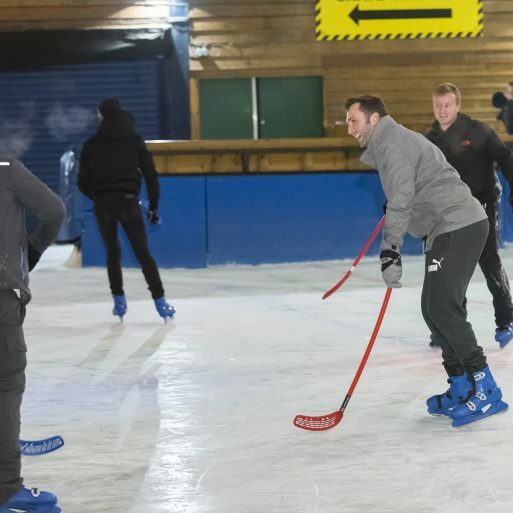 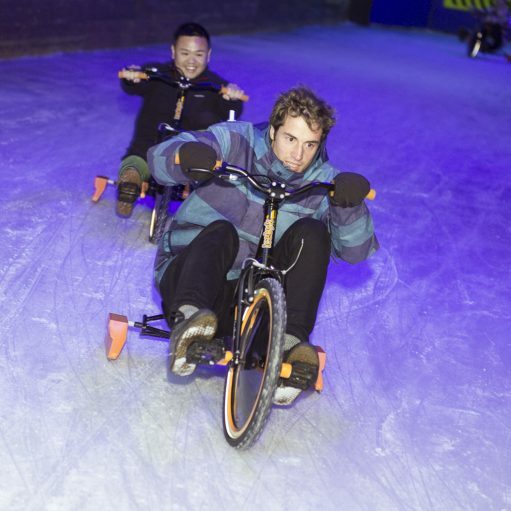 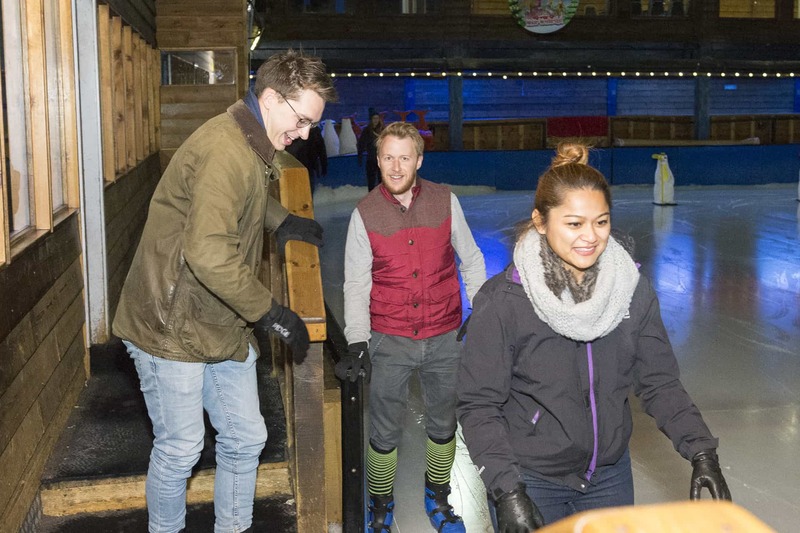 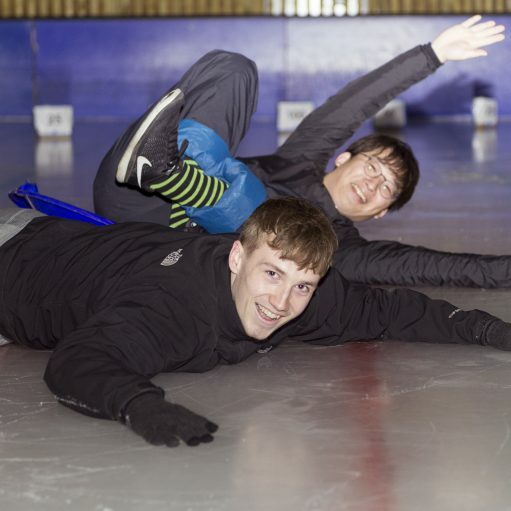 Both the London and the Nottingham office travelled to the Tamworth Snowdome for not one but five activities over the whole day. 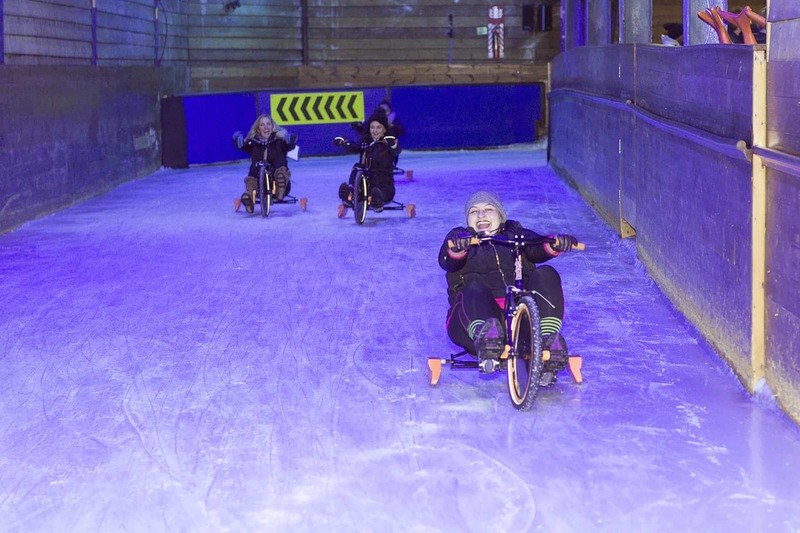 A large breakfast was needed in the morning to get everyone prepared for ice skating, ice trikes and skiing. 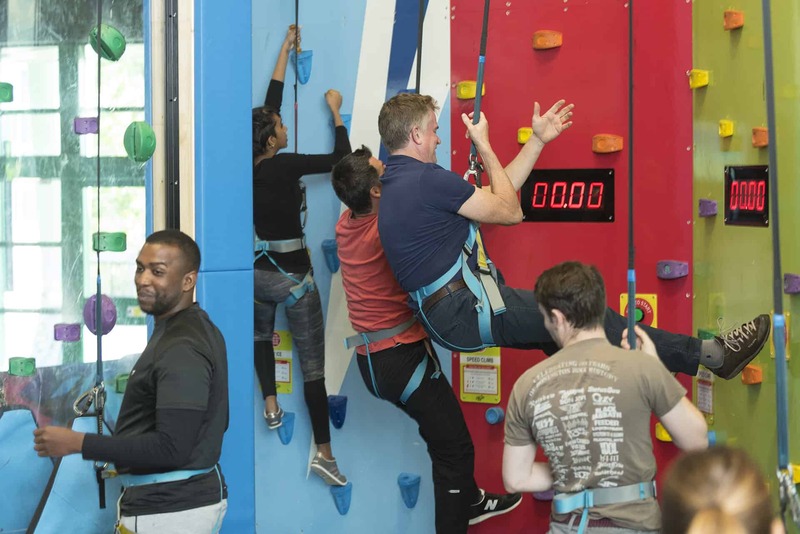 A well-earned lunch was followed by climbing and human curling, an activity that no one knew existed, but all thoroughly enjoyed. 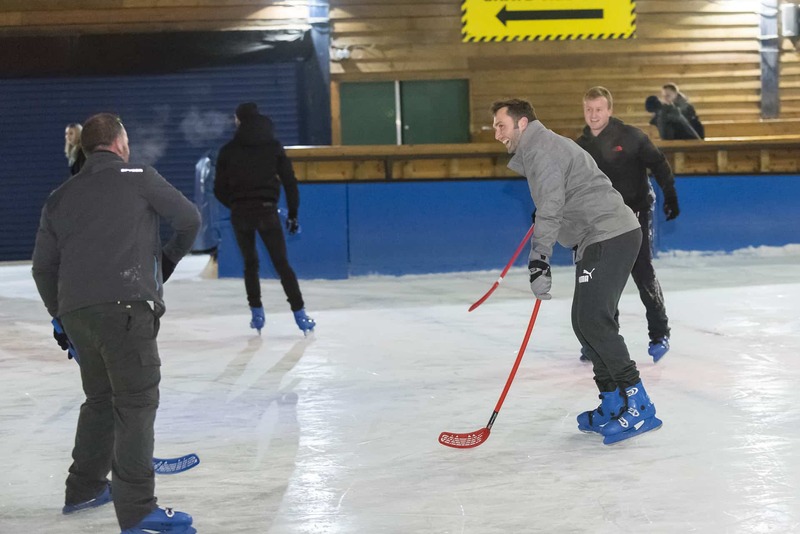 Once the activities were over the team travelled back to Nottingham for more fun and games. 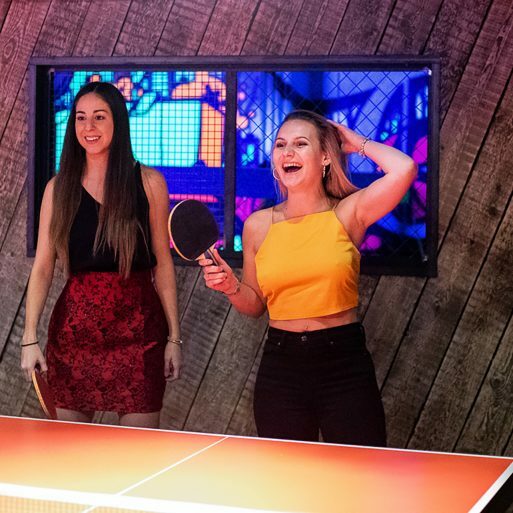 The Roxy Ball Room made a perfect venue to round the day off. 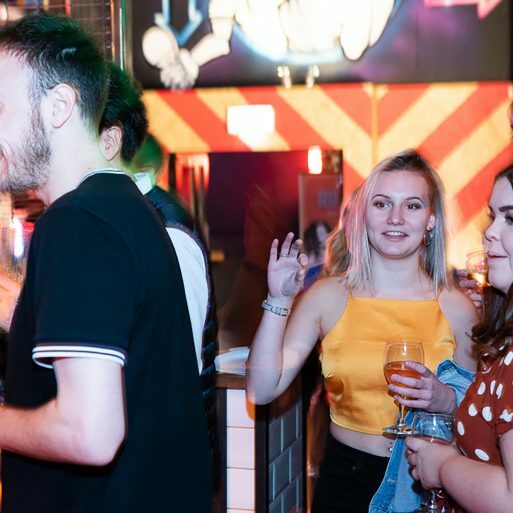 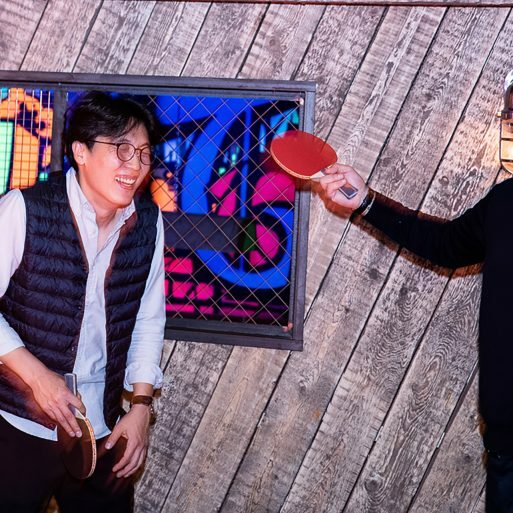 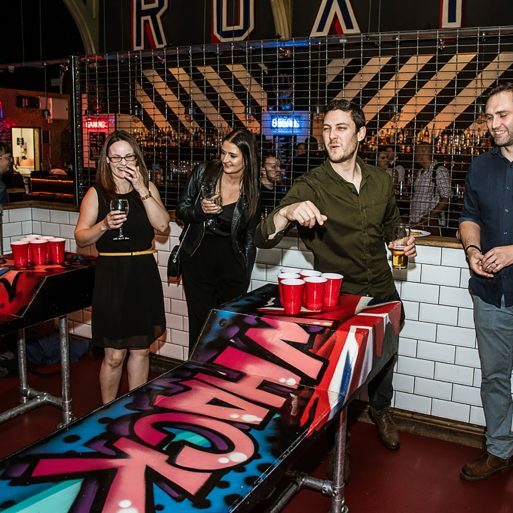 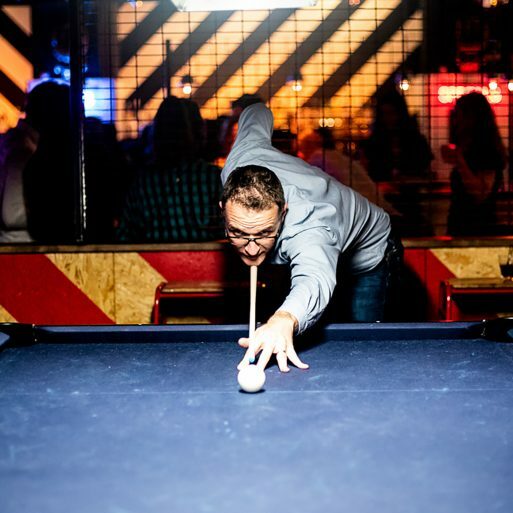 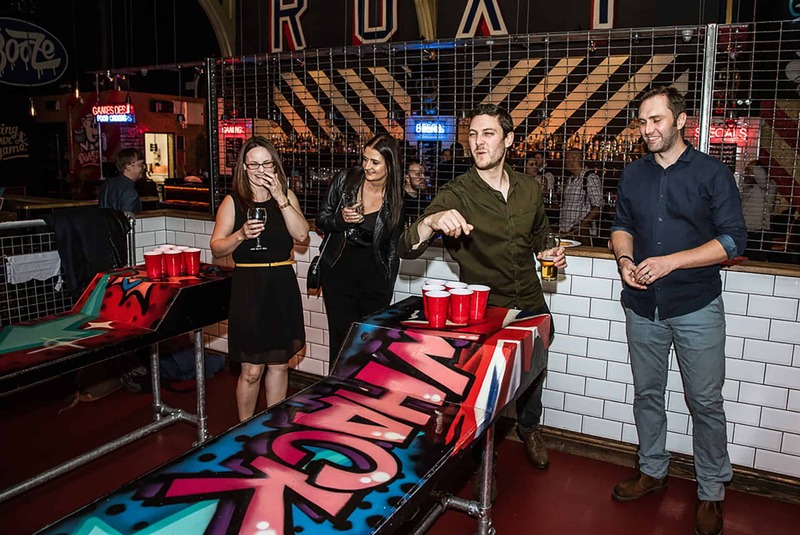 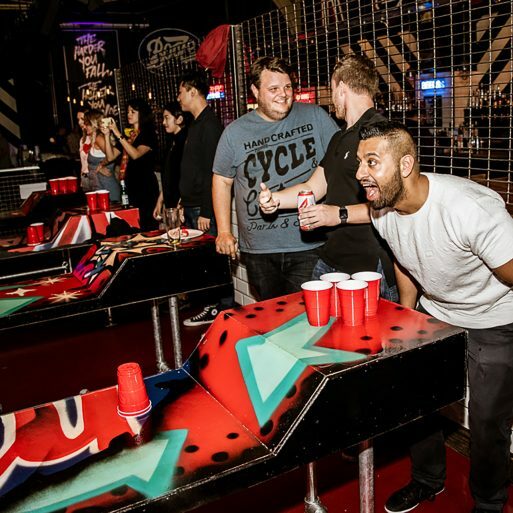 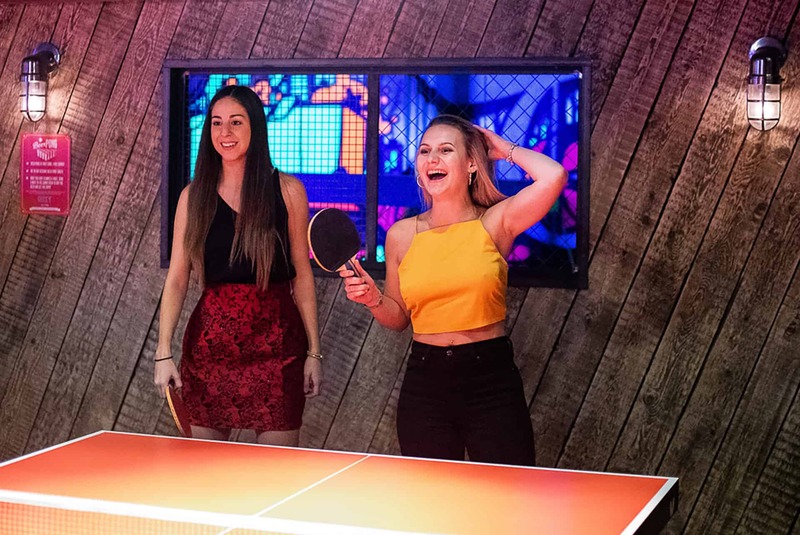 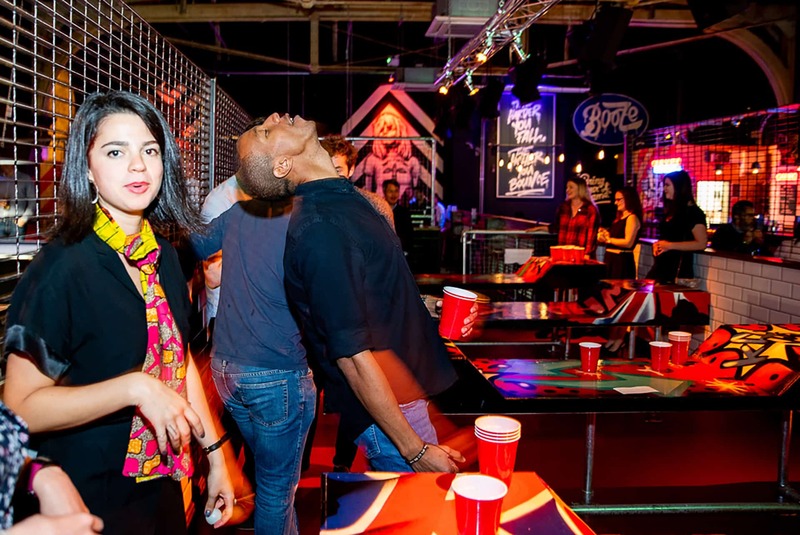 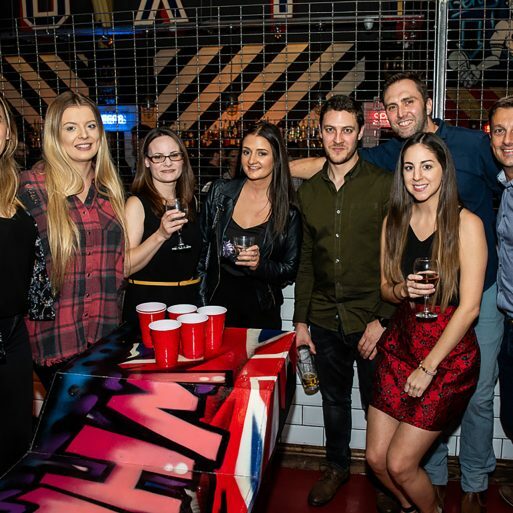 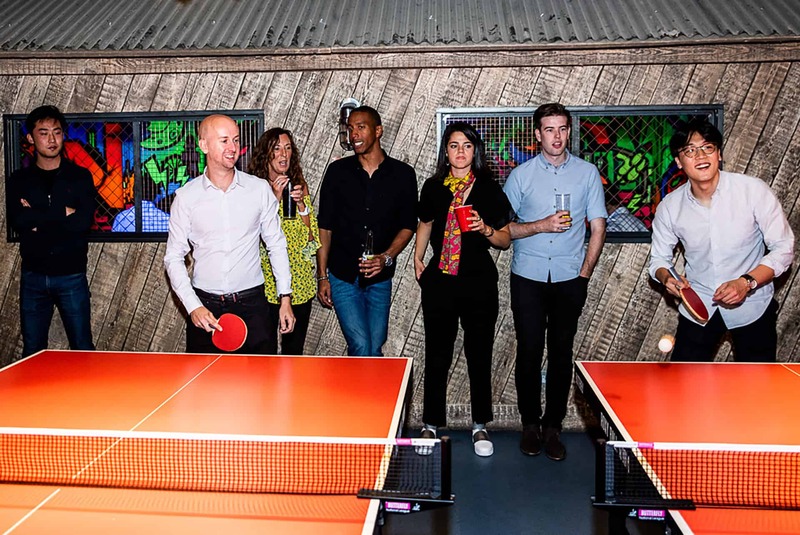 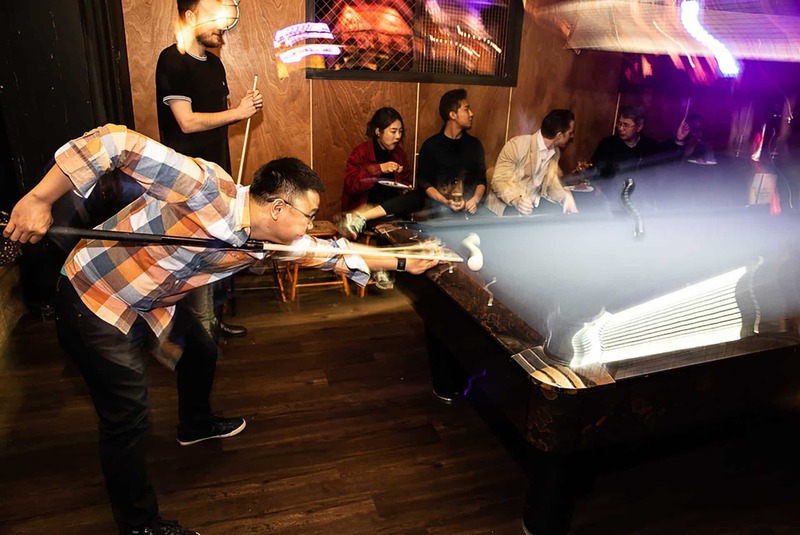 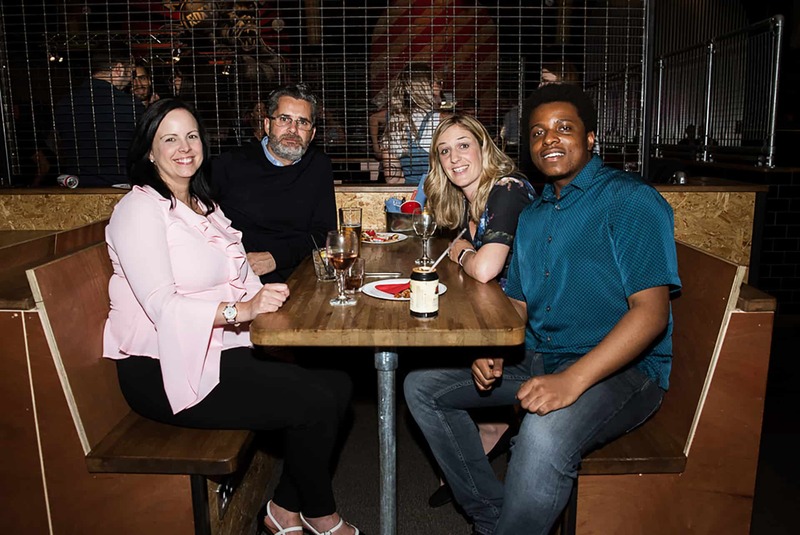 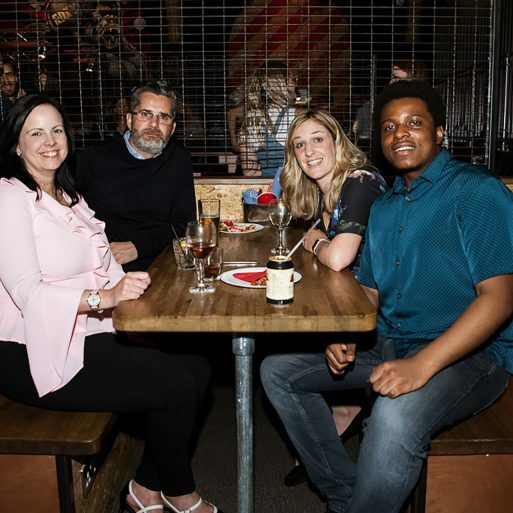 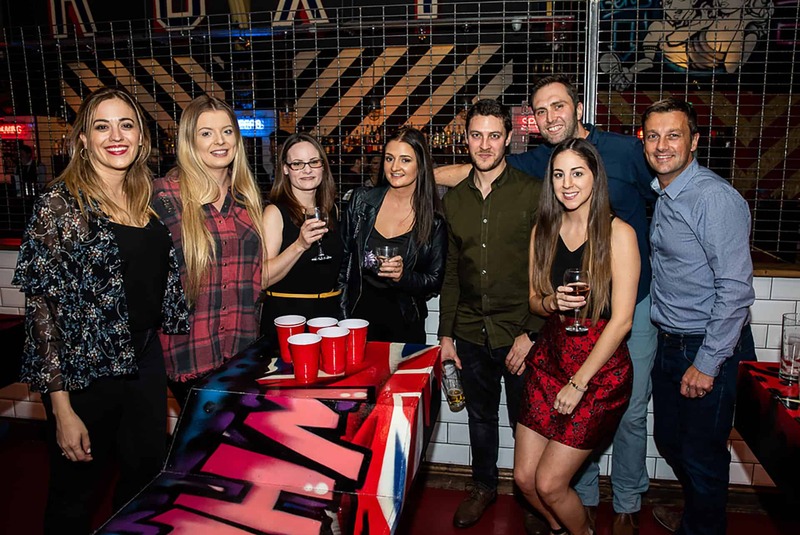 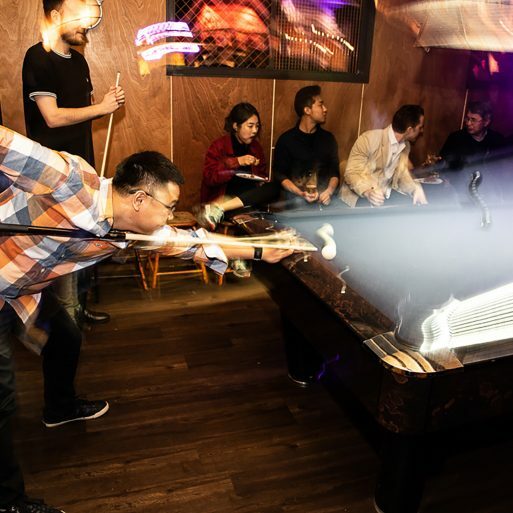 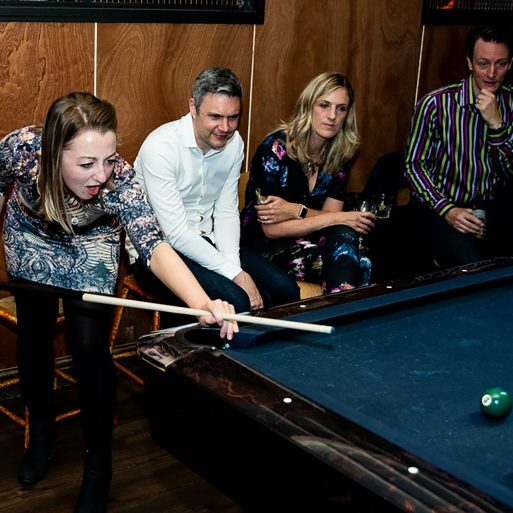 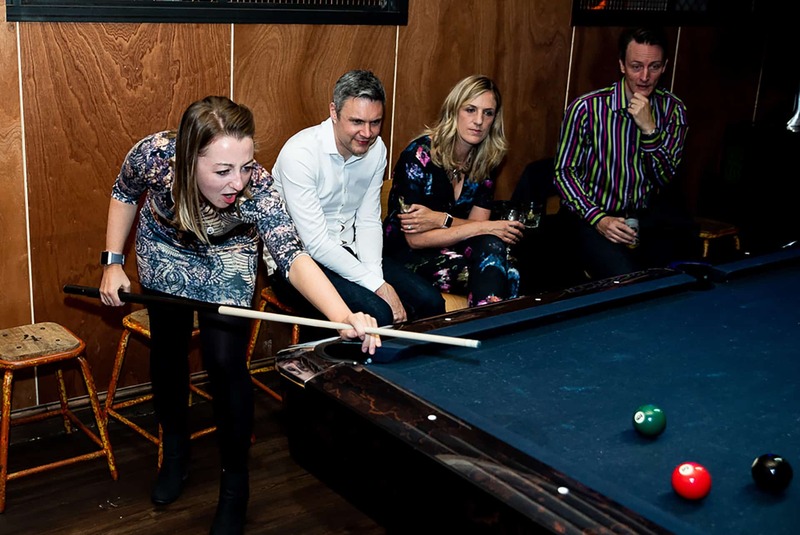 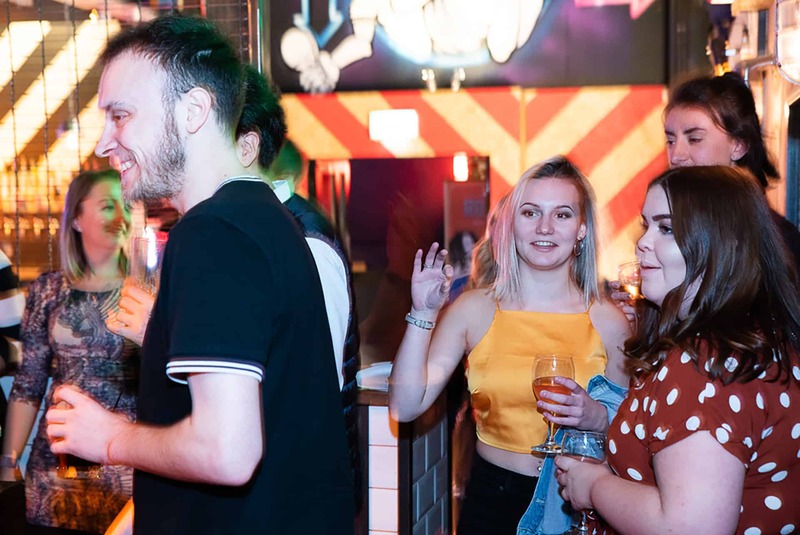 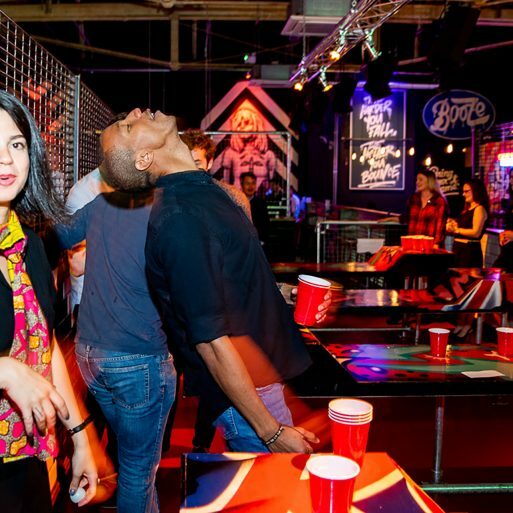 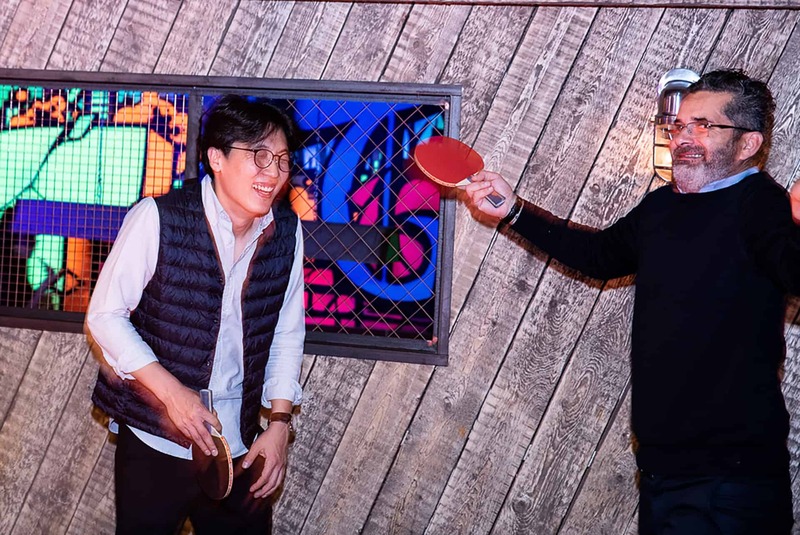 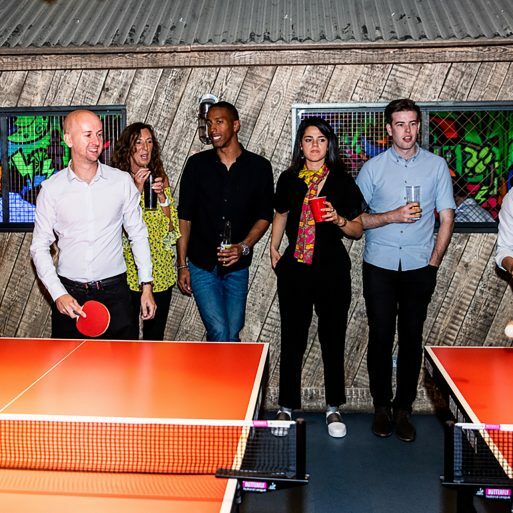 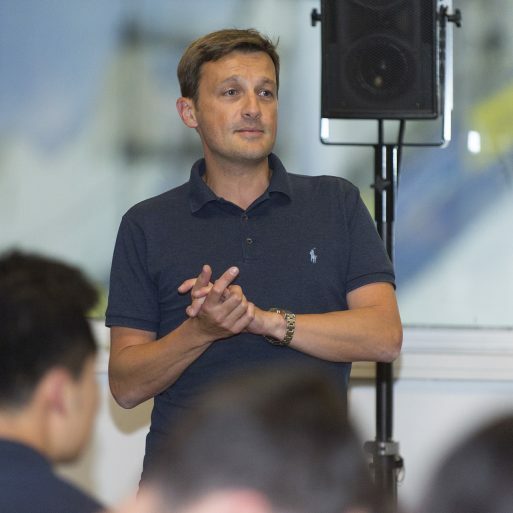 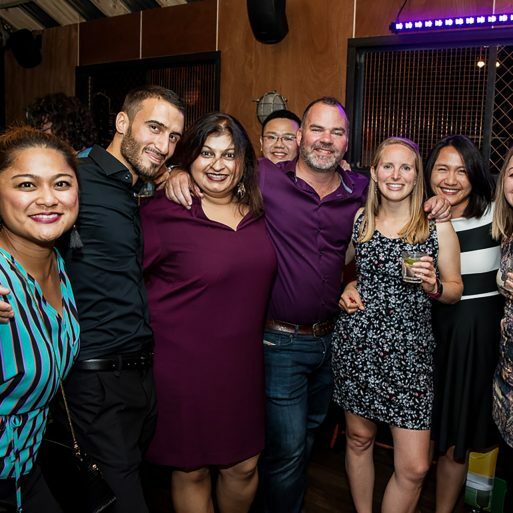 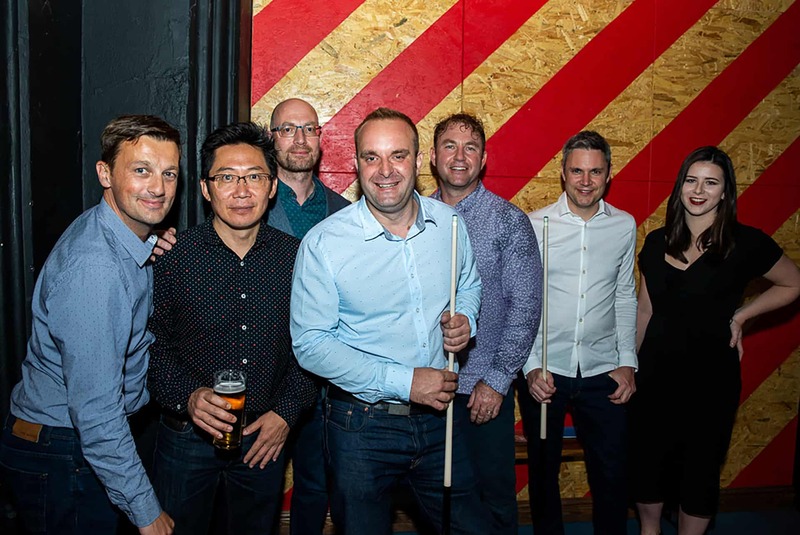 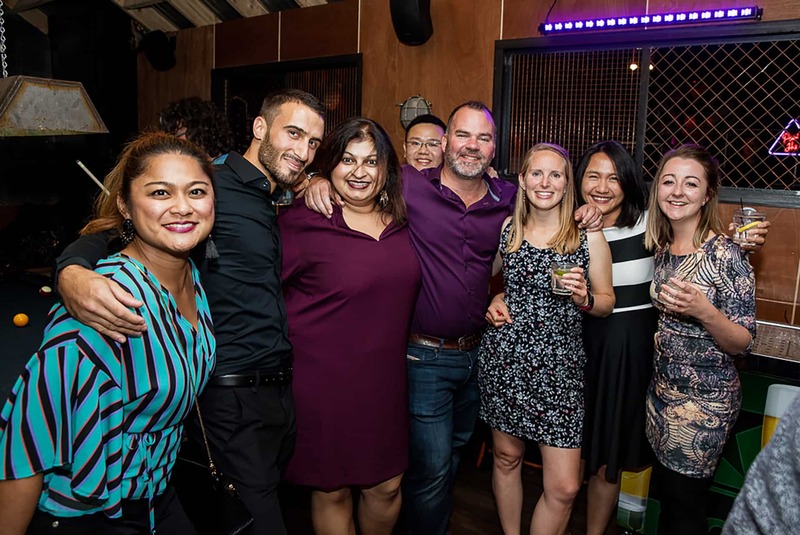 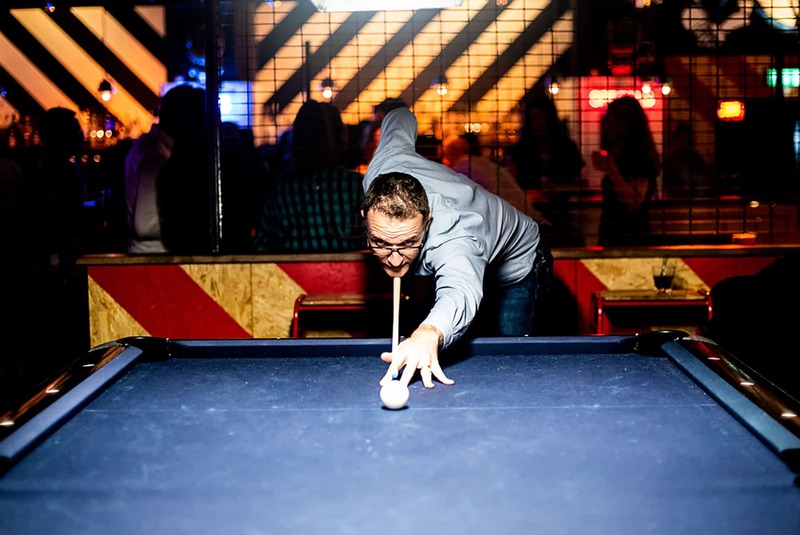 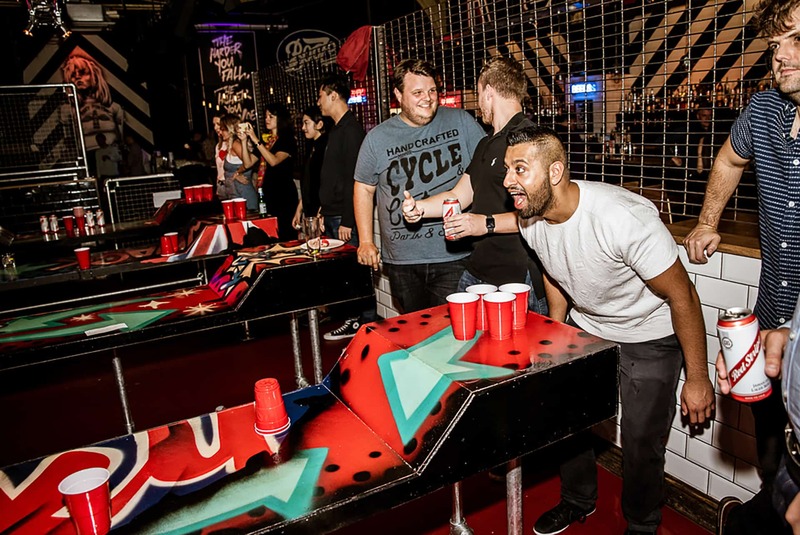 The bar included pool tables, table tennis and even beer pong bringing more opportunity for the team to get to know one another and above all have fun. 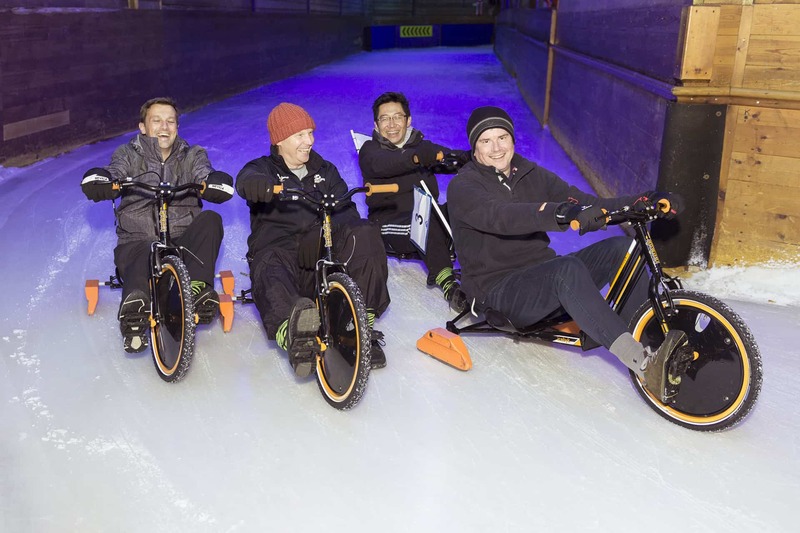 The day would not have been possible without the help of some close friends of the company. 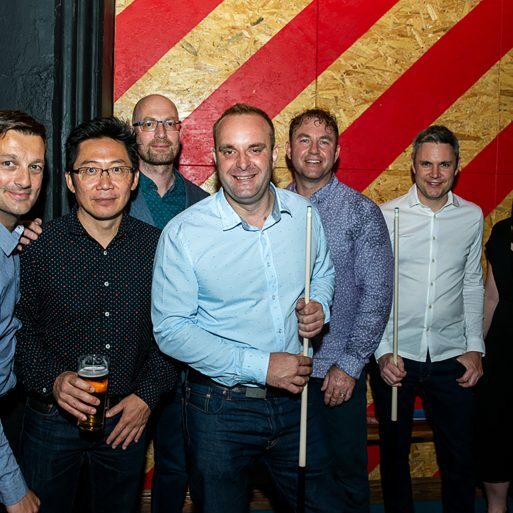 The London team travelled via our Invest in Nottingham friends – East Midlands Trains. 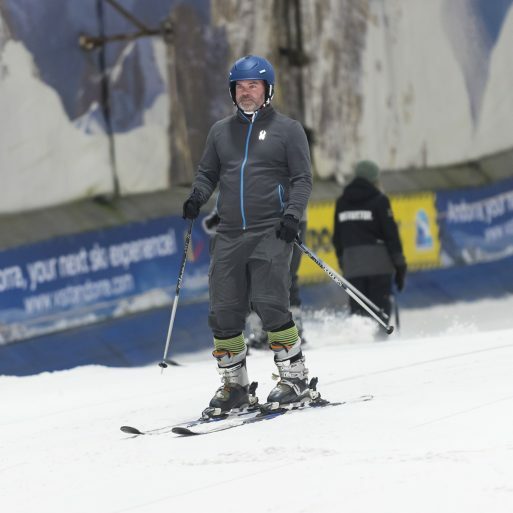 Andy at Travel Counsellors helped to organise the day. 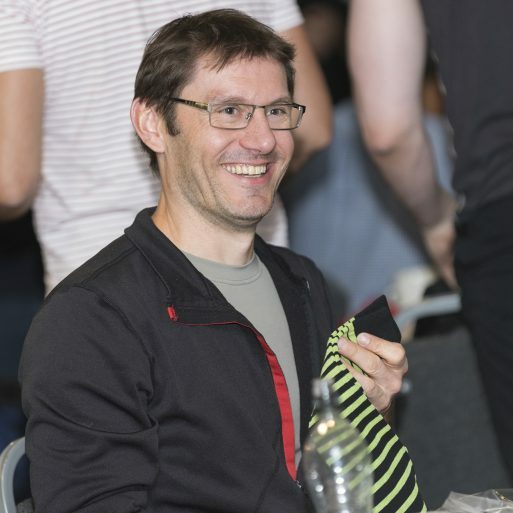 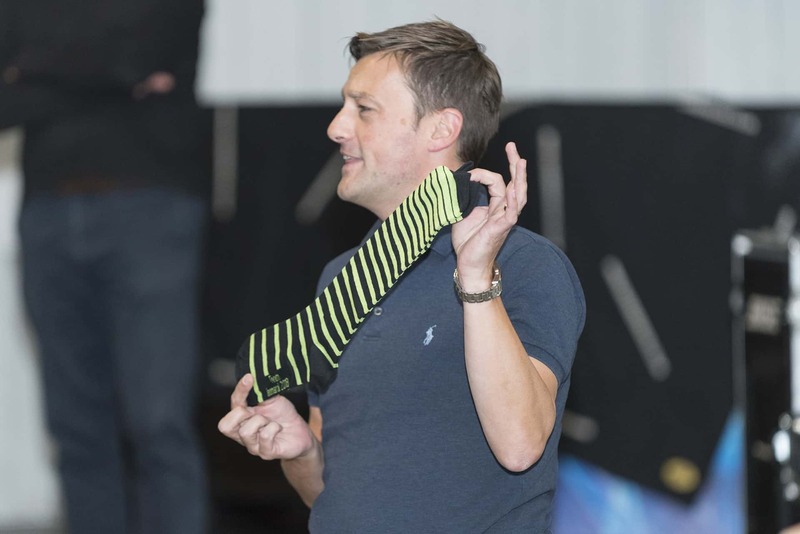 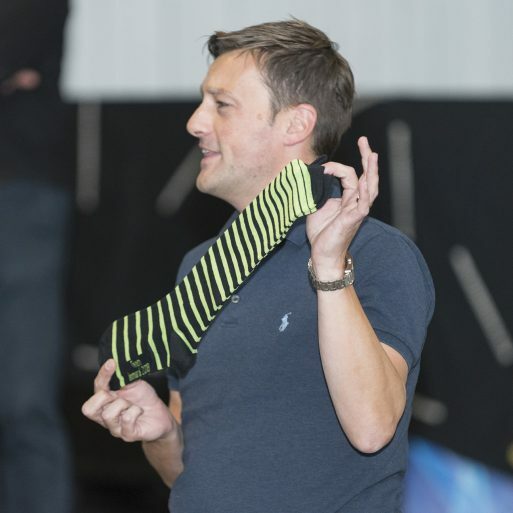 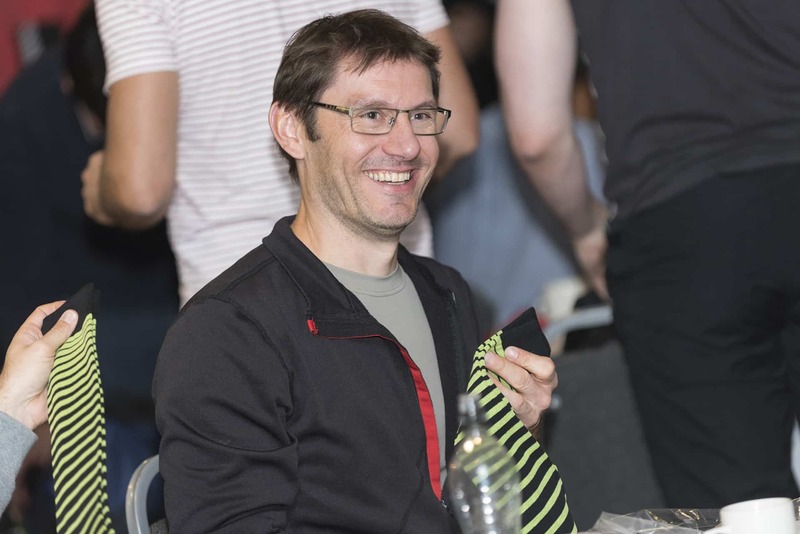 Finally, everyone’s feet were kept especially warm thanks to Carlton Street Trading’s personalised Leonard Design Socks! 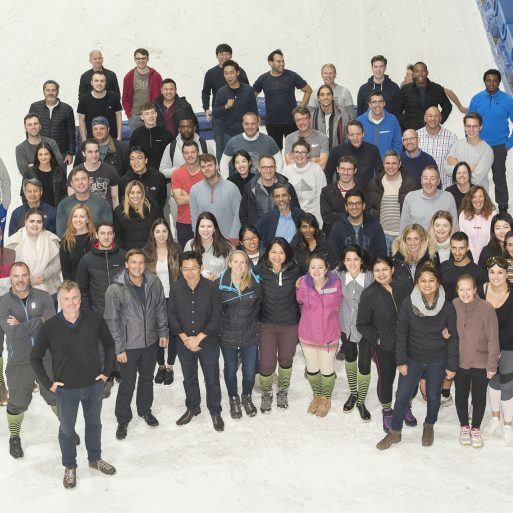 Now all we need to do is work out what to do next year! 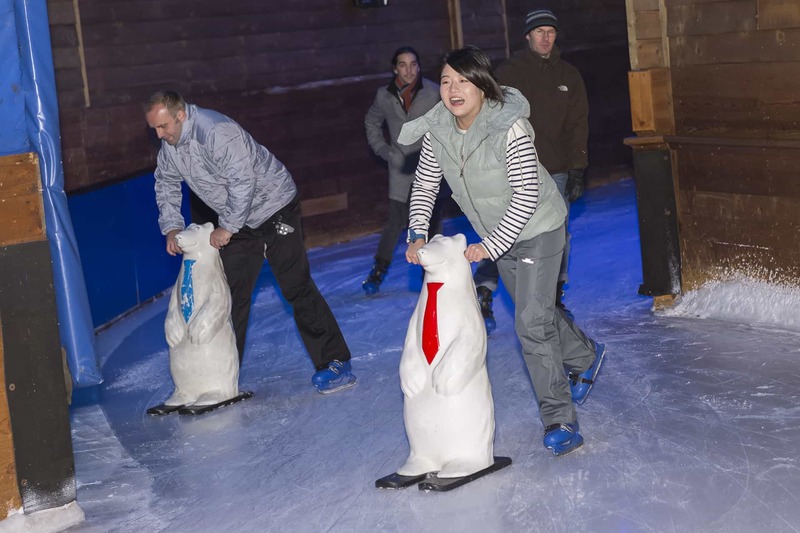 Oh, and the Christmas Party!